On this bonnie journey that starts and ends in royal Edinburgh, your Rick Steves guide will immerse you in the rich culture and history of Scotland. You'll walk the Royal Mile; study the fairways at St. Andrews; shake paws with a sheepdog; try a wee dram at a whisky distillery; explore the Highlands; ponder Lochs Ness, Garry, and Lomond; wander over the Isles of Mull and Iona; and time-travel about the craggy castles of Edinburgh, Stirling, and Urquhart. Join us for the Best of Scotland in 10 Days! Opportunity to enjoy the Edinburgh Festival and Military Tattoo during free time! We'll meet at 4 p.m. at our hotel in Edinburgh for a "Welcome to Scotland" get-together. We'll then take a neighborhood walk and tour of Georgian Edinburgh before getting acquainted over dinner. Sleep in Edinburgh (2 nights). No bus. Walking: light. Today we'll wind our way through the medieval streets of Edinburgh's old town, seeing the best of the city on foot. Our walking tour will take us up the Royal Mile with its wealth of historic buildings, quaint shops, narrow lanes, and hidden courtyards, then onto Grassmarket and Greyfriars cemetery. This afternoon visit imposing Edinburgh Castle at your leisure and soak up the dramatic views from this military stronghold and birthplace of the city. Tonight, join your guide and fellow tour members for a pint at a local pub to share the stories of your Scottish experiences. No bus. Walking: strenuous. We cross the famous Firth of Forth this morning as we head into the Scottish countryside. Our first stop is in the picturesque burgh of Culross, where we'll learn about long-ago lifestyles as we tour a 17th-century "palace." Then we're off to St. Andrews, Scotland's oldest university town and mecca for golfers worldwide. You'll have time to explore the ruins of St. Andrews' medieval cathedral, watch duffers playing the Old Course, and enjoy lunch. This evening we'll enjoy dinner together, and then listen to the history of bagpipes and a real Scottish piper. Sleep in or near the village of Kenmore (2 nights). Bus: 5 hours. Walking: moderate. This morning we'll tour a reconstruction of Scotland's unique crannogs: prehistoric, defensive homesteads built on piers out over the lochs. We'll also learn about the first people to farm in this part of the world, millennia ago. Then we'll head to the Hermitage, where we'll hear about Scottish Romanticism amidst Black Linn Falls and towering forest. Next, we are onto the charming town of Dunkeld, where we'll tour its medieval cathedral. After lunch, we're off to Aberfeldy, where we'll tour a whisky distillery and enjoy a wee dram while learning about this iconic Scottish industry. This evening you can relax riverside before dinner together. Bus: 2 hours. Walking: moderate. We're off to the Highlands today! We'll start off by learning about the nitty-gritty of Scotland's wool industry at a working sheep farm and watch a demonstration by talented sheepdogs. After a quintessential Scottish lunch together, we'll tour evocative Culloden Battlefield, where, in 1746, Bonnie Prince Charlie's defeat ended decades of Scottish rebellion against the British government. We'll end the day of striking scenery with an orientation walk of Inverness where we'll sleep (2 nights). Bus: 3 hours. Walking: moderate. Today we'll explore the Highlands and enjoy a panoramic cruise of Loch Ness (monster sightings possible) before the boat drops us at the shore to explore the dramatic ruins of Urquhart Castle. This afternoon we'll enjoy tea at the turreted Cawdor Castle and stroll through its magnificent gardens. The remainder of the afternoon is yours to explore Inverness or stroll along the banks of the river before dinner together. Tonight is a great night to enjoy some traditional music in one of the many pubs. Boat: ½ hour. Bus: 2 hours. Walking: strenuous. This morning we'll head toward the coast, stopping at haunting Glencoe, site of Scotland's most infamous massacre (Campbells and MacDonalds, keep your daggers on the bus). We'll finish our day in the scenic coastal town of Oban, also known as the "Gateway to the Isles." This evening is yours to climb up to McCaigs' Tower, wander the quaint lanes and alleys, or simply relax over a pint while taking in the views of the harbor. Sleep in Oban (2 nights; group is split between two B&Bs). Bus: 4 hours. Walking: light. Today we'll board a ferry and hop on a local bus for an entertaining ride across the island of Mull to our destination: the windswept Isle of Iona, the birthplace of Christianity in Scotland. We'll visit the 800-year-old abbey, where monks created the remarkable Book of Kells, one of the sparks of creativity that pulled Europe out of the Dark Ages. We'll then set you free to explore or find a spot to meditate on this tiny, spiritually charged island. We'll return to Oban, and our own century, in time for dinner. Boat: 2 hours. Bus: 2 hours. Walking: light. We'll drive along the bonnie, bonnie banks of Loch Lomond and through central Scotland on our way back to Edinburgh. En route we'll visit the famous castle of the Stuart kings, Stirling, including the newly restored Renaissance Palace. Tonight we'll share memories of Scotland and toast new friends at our final dinner together. Slàinte! Sleep in Edinburgh (1 night). Bus: 4 hours. Walking: moderate. Breakfast is provided, but there are no group activities today. Edinburgh's airport and train station are easy connections from our neighborhood. Glasgow is one hour away by train; London is 90 minutes by air. For those tempted to continue their trip, Edinburgh is a great jumping off point to Paris, Dublin, Amsterdam, and many other exciting destinations. Cheerio! Walk up steep hills in Edinburgh and at Urquhart Castle. The tour was wonderful and well planned. Learned so much about Scotland and loved it. It made traveling stress-free as all the planning was done for us. Very nice and excellent tour bus driver. Even the couple of days that the weather did not cooperate and events were cancelled turned out to be some of the best days thanks to our excellent guide Elizabeth. "Many "wow" moments. But hearing Schiehallion sing at the Gillians Scottish Pub was a very fun night. The visit to watch Neil and his sheep dogs, the many dinners of fish and chips and mussels and the pouring rain with the rivers of water pouring down from the mountains and we drove thru the pass on our way to Oban." I had the best time!! Liz, our guide, was great! I was impressed by her knowledge of Scotland's history as well as current affairs. She's very well spoken. She really did everything to make sure everyone was comfortable and happy. She busted her bum to make sure we had choices when inclement weather prevented us from going to a few scheduled places. She put her skills into action. I absolutely love Scotland. I hope to go back there some day soon. "Honestly there were so many "wow" moments for me. I have been wanting to go to Scotland for years. Such a special place. I really loved Edinburgh and the Highlands... gorgeous! Just all the history and seeing all of it on the surface, it's just so cool." The tour was well organized, with every aspect well thought-out and contingencies planned for. I appreciated staying in excellent, as well as, quaint hotels and B&B's. Having a private bathroom in each place was also appreciated. The food was absolutely delicious. Liz Lister made the entire experience incredible. She made sure we established a community of travelers, with plenty of opportunities to get to know everyone. "My favorite WOW moment was the "Valley of Tears!" After days of torrential downpours, we were unable to hike or ride the tram to the top of a mountain near Glencoe. But the amazing resulting waterfalls were incredible!!! Something for which you can't plan, but it was clearly a WOW moment." "There were many, we enjoyed the ancient castles and had gone to see the parliament before tour started and feel it might be nice to incorporate that in the tour as it is so very unique to anything of government buildings we have been too Must say we were VERY impressed with ALL our accomodations very high class and central"
Words cannot describe how wonderful this tour was. It was my fifth RS tour and lived up to the already high standards set by the other tours. The mix of group and free time was good, and all of the sights included gave me a better understanding of Scottish culture and history. "So hard to choose one favorite "wow" moment. The whole tour was made up of various wow moments. If I had to choose, probably the sheep dog demonstration with Neil. I adore animals and getting to cuddle a puppy only a few weeks old in addition to bottle feeding a sheep, as well as seeing how amazing the dogs were, made for a trip highlight!" This was our first Rick Steves and the experience was outstanding! It was great to be at locations for two days because it allowed us to really get familiar with a site before moving on. It was also just the right mix between historic sites, local flavor, directed activities and free time. "My favorite moment was the evening with Gillie our piper! She is a real trail blazer and I sooo enjoyed her playing and wonderful stories." It was amazing! Lots of fantastic, beautiful things to see in Scotland. Our tour guide was very knowledgeable on the history and current events of the country. "When the sheep came over the crest of the hill with the sheep dogs on the farm." Liz was great! I enjoyed how prepared she was every day from the music she played on the bus to the stories. She knows her stuff! While in Oban I was disappointed when our trip to Mull and Iona was canceled last minute due to wind but Liz exceeded our expectations when she pulled out Plan B which included a boat ride in the harbor plus a trip to the Island of Easdale. The BEST Day! "Listening to Schiehallion live in Inverness was a highlight!" "was very impressed with Edinburgh - a nicely balanced exposure to authentic architecture and natural scenic beauty - one of the more impressive cities in the world"
As with each of our Rick Steves tours we have been introduced to a country with a longer, and probably more troubled past than our own. This tour was filled with history, but unlike some of the other places in Europe we have visited, it is a past filled with losses. Happy outcomes, if there have been any for the Scots, were not in evidence on the tour. Battle fields, destroyed castles, lost estates and culture were pointed out throughout the tour. "I love visiting towns and small cities where people still reside, shopkeepers remain in business, and a variety of restaurants were evident. Aberfeldy (which we really didn't visit, though went through several times) and Dunkeld were those perfect small towns." This was our 6th RS trip and we will certainly take more. There is something wrong with the pacing of this itinerary. There was too much "free time" in a lot of attractions where there really weren't other choices to spend time. It felt on several occasions that we had 2-3 hours before continuing when 1-2 hours would have made more sense. The Isle of Iona day seems like folly. Between weather, wind, and tides, the chance of this going well is low. Sterling Castle is not authentic. Skip. "The Crannogs were a big surprise. We knew nothing about this interesting history. Also, the bagpipe and clothing demo with Gilly was terrific." Overall experience was great in spite of some nasty weather there. The guide, accommodation and meals deserve top marks. "Two wow moments would be the Neil and the sheep farm and Gillies and the pipes." This was our first tour of any kind, and we enjoyed it very much. The tour leader, Nigel, set the rules right away on our first meeting. His knowledge of Scotland's history was phenomenal. When a storm cancelled our plans, he had Plan B ready to go. I enjoyed sharing our trip with our fellow travelers. "Driving through the Highlands and Glencoe was spectacular. My feet were itching to go hiking there. Another WOW moment was our visit to the sheep farm and watching and petting the dogs and puppies. Also, I can't omit the surprise picnic lunch in Cairn park. All of the food was native to Scotland and delicious!" Excellent, start to finish. The tour provides a nice "feel" for Scotland. Every aspect of our tour was well-planned. Great input from our guide along the way. "A lot of "wows" along the way. My favorites: (1) sheep dog demonstration; (2) Highland cattle show; (3) the Isle of Mull; (4) the Highland scenery, esp. the lochs and Glencoe." It was the right amount of travel and free time. Two nights in each location is nice. Bus driver very good. Also nice bus - good to have two doors for unloading 29 people. Nigel our guide was great, interesting, well spoken and enthusiastice. Very well organized. Inserted the visit to the auction house to see the highland cows which was fun. "Loved the sheep dogs and the shepherd, Neil. Also the crannogs, carins, Culloden and the weaver." This was a very interesting tour of Scotland hitting many highlights of the landscape, history, culture, and lifestyles. Beautiful hikes in the woods in autumn, pristine lochs, quaint seaside villages, castles & cairns. Due to severe weather, some of our itinerary could not be completed, however, our guide had tremendous patience and creativity in finding alternative activities. "The Clava Cairns - smaller scale, but more accessible and intimate than Stonehenge; Neal & his border collie sheep herding demonstration; Glencoe; Cawdor Castle; The Hermitage"
We loved Scotland and the history was fascinating. All the places we stayed were charming and comfortable. The weather caused a few disappointments but our tour guide Nigel, made up for it all. "This is very difficult as there were 2 wow moments. Ok, I will just name them both! Gilly with the bagpipes, her recitation of Burns, and delightful chat was an unexpe Ted and special evening. Then there were the border collies, sheep, and Neil. Oh, and not included in the itinerary but an extra arranged by Nigel when the weather was not cooperating would be the highland cattle auction." As in my last tour our guide Nigel was exceptional, and my tour mates were wonderful people. I thoroughly enjoyed traveling with them. However, I was less excited about the actual places we went and things we saw. Sometimes you just make a mistake in which tour you choose, and I think that happened to me. I am not sorry I went as I learned a lot and saw things I never would have on my own, but it just wasn't to my taste. This was my husbands and my 11th RS tour, and our least favorite of all our previous tours. There was nothing that really stood out on the tour as compared to all other tours that we have taken. The scenery was beautiful, but reminded us a lot of where we live (the pacific northwest) so was nothing unique to us. The historic and ancient sites were not as awe-inspiring as other sites.However, we did take the 14 day Ireland tour immediately prior to this tour, and Ireland is a hard act to follow! "In Inverness we stopped in a pub our guide had recommended to hear music. A local woman about my age and her 28 year old daughter kindly shared their table with us; they were a little tipsy, and very entertaining to listen to their version of Brexit and other local politics. Turned out the woman was also a Registered Nurse (as am I) in the same specialty field! We lamented our shared woes of our profession; turns out we share the same problems! Talk about a small world." I'm part Scotch (my grandfather) so I'd been waiting to take this tour my whole life and it didn't disappoint. Edinburgh was everything that I'd read about & more, but what I enjoyed most was getting out of the Central belt into the Highlands with its beautiful scenery & towns. For me there could never be enough castles ( albeit most are in ruins)& to see St Andrews where my grandfather played with the US Seniors was a dream come true. The tour was pure perfection ! "Finally seeing Edinburgh Castle after reading about it is certainly majestic, the battlefield at Culloden is gut retching, but my "wow moment" has to be entering the nunnery ruins at the Abbey on Iona while James sang a beautiful song in Gaelic. His voice is truly a gift." The entire trip was delightful - the organization and leadership exhibited by our guide made the experience very memorable. "a very hard question to answer - there were many moments." We thoroughly enjoyed the trip! It was our first experience with your organization & we've already recommended you to many friends. Guide was GREAT, accommodations better than we expected, tours very interesting, educational, and fun. We also enjoyed the food! "Having some whisky samplings atop the ski lift area - surrounded by the gorgeous beauty of the land, the friendship of fellow travelers - it was a toast to good times & appreciation of being able to be in the moment!" We have already recommended the tour to many of our friends. We felt like we experienced so much of the beautiful country of Scotland due to the outstanding planning of all aspects of the tour! Thank you !!! PS- I just spent about 45 minutes providing some details within each category and then clicked something that resulted in me losing all of those responses. So Sorry, but the redo will be brief! "Iona Neil and his sheepdogs"
James, our tour guide was outstanding. He shared all of Scotland with us. His personal experiences, which were special and inspiring, as well as general history, current issues, and hopes for Scotland's future. His knowledge of Scotland was wonderful. He used humor to entertain us and keep the mood light and fun. He also shared wonderful Scottish music with us. The other thing that made this trip wonderful was our group. I cannot imagine a more pleasant, fun, kind, and sincere group. "There are two favorites. One was a special dinner at the hotel in Kenmore, with a visiting musician. Fully, the bagpiper. She was incredible. And she let me play her bagpipes, which is something I've always wanted to do! My other favorite was the visit to Neil, at the sheep farm. He and his Border Collies were incredible. Definitely a highlight." It was my first tour and my first trip to Europe. My expectations were very high and I wasn't disappointed. I so enjoyed this tour that I'm already planning the next one. "There were so many 'wow' moments that it is hard to pinpoint just one. Our guide, James, was extremely knowledgeable, personable and entertaining. I enjoyed all the sites and demonstrations but especially enjoyed the discussions on local politics, history and culture." Absolutely a fantastic tour! Anne did an incredible job and gave all tour members an unbelievable sense of her magnificent homeland! "Far too many wow moments to name a few would not do"
With every tour I take, the experience just gets better and better. My husband and I drove this same itinerary several years ago but with Anne leading the way, educating and guiding me for the entire trip, the experience was an entirely different one. Besides which, no driving and/or trying to figure out how to manage the (new-to-us then) scary traffic circles! It was a wonderful tour with an awesome guide; great food experiences and lovely hotel accommodations. Thank you again, Rick and Co.
"Too many to choose just one as I felt the entire country is one WOW moment after another. Have I proposed the idea of expanding the length of the tour so I can find more WOW moments? If not, you'll get to that...."
I had a very good experience on this, my first Rick Steves tour. Our guide, Anne, was outstanding. Her knowledge and insights added so much to my enjoyment of the tour and my understanding of Scottish culture and history. The accommodations were comfortable and in some instances also quirky. But nothing that I did not expect or found objectionable with the exception of one Inn, and that was remedied when I was moved to another room by the very gracious manager of the Inn. "I really enjoyed visiting and learning about the Crannog settlements. I was completely unaware of these pre-historic people and their way of life. This is the kind of learning experience I look for in a tour. A close second was the sheep herding demonstration. Awesome doggies!" As it was our first trip abroad I was nervous. However the combination of organized time and free time was a perfect balance for a first time traveler. I feel like we got a good over view of Scotland in our 10 day tour. "Oban. From the B&B, to the ferry rides, to the peace of Iona and the fish and chips it was an amazing experience." It was my first Rick Steves tour, and it did NOT disappoint! Our guide was OUTSTANDING, accommodations and meals were excellent, and traveling companions were friendly--some are new best friends. "Gillie bagpipe playing and her recitation of Robert Burns' Address to the Haggis were impressive and delightful. I also thoroughly enjoyed the sheepdog demonstration with Neil." Well organized tour. Wonderful Hotel accommodations. Transportation from city to city was comfortable and safe. Tour locations and stops were fun and interesting. Guides are knowledgeable, professional, accommodating. "There were so many... Edinburgh is a beautiful historic city The highlands are both beautiful and peaceful. Iona was a spiritual moment. Sterling Castle was amazing, powerful, and historic. The people of Scotland are friendly, kind, and were willing to take the time to just talk about their country and culture. I was so comfortable and relaxed visiting Scotland...I thought how nice it would be to live there full time." Best part? Our professional, respected guide. Anne Doig briefed us on the country's history, its heralded & haunted rulers, clans & castles & crannogs, its incredibly educated folk through the centuries. She remarkably handled our group's varying personalities and quickly solved any room issues (i.e., hot water or one bed for two singles). She suggested great places to eat. She knew where to do laundry. She was simply superb. "I knew the Culloden Battlefield story and how the British crushed the Highlanders in about an hour. I did NOT know my ancestors were on the Brits' front line. Right there on the museum wall--Cholmondeleys. (Our last name is Chumley.) I'm still stunned." The tour was a wonderful balance of historical Scotland and the glorious natural world. The balance between driving and walking was also good. I might have chosen a bit more walking time in several places, but the balance was ideal for the group generally. Anne was the perfect guide. She is funny and sensitive and can answer any question. "Each time I reached for my camera I had a "wow" moment. Scotland did most of the work with astonishing light that could make every place magical. And of course the tour got us to the perfect places for the magic to happen." Wow, It was my 5th tour with your company and it was even more that I expected. Anne is the perfect guide. She saw to all our needs and more. Her love of her country showed thru every single day. Thank you Anne. "I loved Kenmore and learning about the Crannog settlement. The time and effort to re-create the lives of the iron age people and their way of life making and using tools was amazing." "Loved st Andrews, the views and free time was just right. the sheepdog farm my favorite, could have spent more time there. loch ness boat ride outstanding, ending at Urquhart castle. local fish and chips in oban on our free time, one of our guide anne doig's favorite places. I noticed a lot of fellow tour members there. Iona a must see part of the tour, brings "isolated" into new meaning. sheepdogs win the "wow" moment"
"Riding the gondola up the mountain at Fort William - Torlundy." It was the varied and educational experience I had expected, especially with our wonderful guide Anne. She made the Scottish history come alive. We had great weather, lucky us. Hotels were great as usual in good locations in town.Meals were over the top. I am a confirmed RS tour regular, with more to come I hope. "The boat ride and visit to Urquart Castle . And maybe the sheep dog demo?" I really enjoyed the tour. It had great variety, was well paced, and very educational. I was amazed at how beautiful Scotland was. While Edinburgh is an interesting city, it paled in comparison with the beauty of the rest of the tour. Of course that opinion just reflects my own personal biases. I wish we could have spent more time in the Glencoe area rather than just drive through it with one bus stop. However, that said, I realize the trails are difficult and parking is a problem for a bus. "I really didn't have any "wow" moments. It was all very spectacular." Helen was wonderful and gave us so much info. Helen gave us so many extras, the toast on top of the Highlands, The shellfish tasting , goodies on the bus! Very special stories! Loved the places we visited. The hotels were good except for Kenmore. I just wish we had more time to hike a bit in the Highlands! "I loved the Highlands! The landscape was so different. Wish we could have hiked a little there. We just drove through! Loved the tour guides, bus driver and other guides! That was the best part of the trip!" The Scotland Tour exceeded my expectations! My favorite aspect was the amount of time spent in the highlands and out in the country. Helen Houston was an amazing, knowledgeable, FUN and gracious host! I was impressed by her grasp of Scottish history and her abilities to render it understandable to many. This was my second Rick Steves tour and I'm consistently awed by the local guides (e.g. Rita in Edinburgh, the crannog site interpreters) and talent like Gillie (the piper in Kenmore). "I can't limit it to one - driving through the Highlands (more beautiful than I imagined, even with the brown heathers), the crannog settlement, staying at the Kenmore Inn, the sheep herding demonstration and touring Stirling Castle." As this was my SIXTH Rick Steves tour I feel that I have a somewhat unique perspective in providing a review. I can honestly say that the quality of tours has not diminished since my first tour in 2011(Heart of Italy). Helen, our guide, was wonderful, as have been all the RS guides on each one of my tours. The quality of hotels, locations visited, expert local guides and of course our tour bus driver - all were fantastic. Once again, I am so impressed by the consistency of an excellent company. "So so many to remember, but I can't just choose one - Kenmore and it's incredibly picturesque village & hotel in the highlands and our time on the coast (Oban, Isle of Mull, Iona). Those two places I will visit again and I absolutely will spend more time in the Highlands. My eyes were opened to their beauty and now I'm curious to see the Outer Hebrides and possibly go as far north as the Orkneys." The tour provided an overview of the entire country with stops a interesting and entertaining locations. I wish it was longer to experience more in each location. "All the castles were interesting, but Stirling castle stands out because of the restoration/recreation. The displays left less to the imagination and brought the past to present day." Had a fantastic time with a great group of people. The only thing need was more time to enjoy the great trip! "Getting to meet Neal the sheep herder and watching him work with his dogs. It was amazing!" Helen was our outstanding tour guide. Each day,because of my age,I somewhat worried about the day and how I would do(easy to strenuous). And each day I ended amazed, entertained and yes"educated". I'm 83 in December and was made nervous by my lovely wife(80)who kept telling me I was going to have"strenuous days" and implied that I'd better keep up. I did and then some. "Helen: as I told the group at our last dinner,Helen made the tour and not to be left out the several additional guides that accompanied us. Rita at Edinburgh Castle:wonderfully entertaining as well as educational. But at Culross, George's Palace, Linda was a magnificent docent and I know of which I speak ( I was a docent at Bower's Museum for 19 years until I "got A-fib"). Rick someone is doing a very good job of emploement"
Very Happy with it. Structurally, there is a couple of changes that I would make. Iona Abbey was interesting and beautiful, but didn't add that much to the experience. I would cut that out and end the tour in Glasgow. I think it is a little odd that the #2 city was skipped entirely and that the trip started and ended Edinburgh. "The Scottish Highlands are as beautiful as advertised. The English are (maybe were) ruthless, oppressive a**holes." The tour guide was fabulous - knowledgeable, entertaining and delightful. The sites that we visited were very interesting, varied and not what you would likely see outside of the Rick Steves' Tour experience. We enjoyed the lodging - everyplace was historic, well maintained and quite nice. The food [INVALID]ed for group meals was outstanding - and each hotel had wonderful breakfasts and helpful staff. "There were a bunch of "wow" moments from the tour so it is hard to pick just one. I think the evening at the Kenmore and the bagpipe recital from Gilly was the absolute best." Our first group tour so it is hard to compare. We were very satisfied and happy we chose this tour. We usually travel with family or on our own so it was quite a change not being able to stop when and where we wanted. Our tour provided a variety of activities for all interests. We kept a very active schedule, each event was informative and enjoyed greatly. "I enjoyed seeing the Highlands, with it's mountains, waterfalls, and varied autumn colors. Also, I was very happy that we had a break in the weather, permitting our group to ferry to Mull and Iona." I thoroughly enjoyed our tour! It exceeded my expectations! The hotels were a cut above. The restaurants had wonderful food with an adequate variety of choices! Our group members got along well and bonded. We had a nice assortment of sites we visited. Our guide was knowledgeable and friendly. Brian had a great sense of humor. He did a great job communicating with group members. "I loved the countryside. The green beauty of the land in the Highlands was wonderful. The wow time for me was visiting the working sheep ranch. The demonstrations with border collies and sheep were interesting and "down to earth" in a beautiful setting." Scotland is a beautiful, interesting, historical, and romantic place. I really enjoyed the time I spent with the Rick Steves Tour. I learned a lot about the country and its people. The tour was well-organized, the tour group was just the right size, the people on the tour were just lovely to travel with and the balance between riding on the bus, walking and over night stays at hotels was just about perfect. The places we visited were interesting, the food was very good, & the hotels-great! "Dunkeld! The location of that hotel was just gorgeous. Other wow moments were, Sterling Castle, Cawdor Castle, Loch Ness, the Highland country side, Neal the Shepherd and the spectacular view from Edinburgh Castle! When the sun was out almost everything was WOW!!" Wonderful mixture of urban and rural sites, brought to life by varied and intelligent commentary from a variety of local guides. The wild, wet, windy weather only accentuated our sense of experiencing Scotland in its natural state. Eating was great -- a happy mixture of tour-provided and self-provided meals. Hotel accommodations all worked very well, with each providing memorable features. "Visiting, learning about, and gaining a sense of the prehistoric past in the Crannogs." We had a variety of activities that helped us familiarize ourselves with Scotland and its culture, the travel pace felt right, and there was a good balance between travelers' organized/free time. "Eating haggis! Gilly Mc Nab, Piper Neil the shepherd"
This was my 3rd Rick Steves' tour. The tours are very well structured and fast paced. The tour guides, in my experience, have been top-notch and the bus drivers are nothing short of amazing. The "philosophy" of the Rick Steves' tours, makes for a very efficient travel experience in a short amount of time. I learned, saw and enjoyed so much of beautiful Scotland in just 10 days, unbelievable! "Without a doubt, the majestic Highlands!" We started out with an airline challenge when our flight from Amsterdam to Edinburgh was cancelled due to weather and we missed the first day and a half of the tour but we thoroughly enjoyed the rest of the Scotland adventure. The guides were exceptional and Brian took great care throughout our adventures. This was my son's first international journey and he was in awe of everything he experienced and truly impressed with all of the historical knowledge and choices of tours. "Crannog history was remarkable. But I can't leave out the shepherd adventure with the sheep herding and his story." This tour provided a broad scope of this beautiful country. Its history began with the iconic Edinburgh castle, and reached out into the countryside with glimpses into truly ancient settlements (crannochs) to St. Andrews' golf and university culture and on to the highly trained shepherd whose life is his border collies. The rich forest lands and rivers, the lochs, castles and the highlands themselves spoke of the land and its people, clarifying Scotland. "It's impossible to choose just one wow moment. The shepherd Neil working his border collies and the opportunity to hold a fluffy new pup in my arms, as well as witness a 12-week old puppy try to herd the flock. Gilly and her bagpipe were great and a personal wow when my partner tried his hand at playing. Sitting around a campfire in a 2,000-year-old crannog. The sight of Urquhart Castle from Loch Ness as a shaft of sunlight lit its face. Picnicing amongst the ancient Clavern cairns!" I was disappointed. We spent too much time on the bus. The guide was not approachable and his talks were very hard to follow. This was my first Rick Steves' tour and it was outstanding. I had been to Scotland before on business and have always loved interacting with the people. This tour added the element of getting to see the country as well. The bus rides were comfortable and the bus drivers very skilled. The hotel room ranged from small and comfortable to very nice. The guide provided a generous amount of information in a very palatable way, making the information easy to understand and follow. "The boat trip on Loch Ness was very enjoyable. The cold crisp morning seem to add to the exhilaration of the boat ride. Our trip to the Highlands to visit a working sheep farm was amazing. Watching the owner work with his boarder-collies brought open-mouth stares to all of us. It was very memorable to partake in sheering a sheep." This was my first Rick Steves' Tour although I have used the Rick Steves' books as references for years. The tour itinerary , the hotels, the bus, the restaurants, the sights were all outstanding. We did have some weather and ferry challenges but our very capable guide, Martin, was able to make adjustments and we were able to carry on with our day. The group of travelers on the tour were all very sociable which made the time together relaxing and interesting as we got to know each other. "It is impossible to have one "wow" moment, however my favourites were Urquhart Castle, the Sheepdog experience and the Crannogs, all which were new experiences and unexpected highlights." I loved my time in Scotland, from the big city of Edinburgh to the smaller towns in the Highlands. I especially liked Oban and our bed and breakfast inn, where our view was the bay. Another highlight was the sheep dog demonstration where my husband got to shear a sheep and I got to bottle feed a baby sheep and hold a three week old puppy. The owner was so passionate about his animals and what he did for a living. I wish we could have had more free time in the towns we stopped in. "I really enjoyed our day in Kenmore that began by walking to the crannogs . We were greeted with a lovely rainbow over the water and then had a tour and demonstration of how life used to be. It was like living history to see how they started fire, and carved items out of wood. That evening we were entertained by Gilly, one of the first female bagpipers in Scotland. She explained her instrument, and all the items in her wardrobe and then showed some volunteers from our tour group how to play." Fun tour with an outstanding group. We enjoyed all of the tours and experiences. However, we would have enjoyed a little more free time to explore on our own. Unfortunately, we only had 40 minutes on Iona due to the Ferry Boat being repaired...but c'est la vie. We could have easily spent an extra hour at St. Andrews. "The Sheep Dog Demonstration was amazing!" As expected the Rick Steves tour was first class. Everything from the quality of the hotels, the group meals and the guide, Martin, was excellent. And as an added bonus fellow travellers were fun to be around. We could have dropped a few castles from the tour and a little more free time would have been nice, but in 10 days you have to pack each day with sights to get the full experience. "My favorite wow moment was seeing the crannog display. Seeing how people lived 2500 years ago was eye opening. A close second was the bag pipe player who entertained us after a group dinner. She was priceless, not just as a pipes player but as a story teller." It was a great tour. The itinerary was interesting and gave us a First Look at Scotland wetting our appetite to visit again. Martin made the trip very interesting with his vast knowledge of history, archeology and architecture. The hotels was lovely but we got stuck with the stairs a few times due to the draw. If I was to suggest I would allow more time in Inverness and skip Chair Lift at Glencoe. Iona visit was very short due to ferry problems but Martin did his best to improvise. "The most impressive was the Sheep Dog farm visit. The trainer really put the dogs thru their paces." I really enjoyed this tour. Our guide, Liz, was exceptional. She was very well informed and knowledgeable, and just a delight to be with. She shared her vast knowledge with us and gave us many insights about the culture and history of Scotland, and what it is like to live there. I would like to have had more free time to explore on my own. The free time was limited to one or two hours at the end of one or two days. Way too fast paced. "My favorite wow moment was the mountains around Glencoe. I had no idea Scotland was so beautiful and vast. I particularly like the Highlands part of the tour." Wonderful overview of Scotland, having never been there before. Liz was a fantastic guide and was EXTREMELY knowledgeable about everything, from history to natural science to current affairs. The accommodations were generally good, and we enjoyed all of our tour companions. The weather was a bit rainy the first few days, but did not really slow us down. Liz was able to juggle items around so we missed nothing. My only regret was that we were not able to spend more time in the highlands. "It is difficult to pick out one moment. The boat tour on Loch Ness and the visit to Urquhart Castle were great and very scenic. The lochs were very beautiful, and I was happy we got to stay along Loch Tay and cruise on Loch Ness." Our tour was wonderful! We thoroughly enjoyed our guide. Liz was warm and welcoming and we learned so much about the history, culture and general economy of Scotland. Our accommodations were excellent. Traveling with a small group is great as it allowed us to get to know people much better. We arrived in Scotland a few days ahead of the tour and felt very comfortable with getting out and seeing sites ourselves after reading the Rick Steve's guidebook. "There were many moments where I said "wow" but I love the countryside and the Glencoe Valley was a wow. The weather was nice when we were there and it would have been nice to hike a bit and soak in the beauty of the area. The Isle of Mull was also beautiful countryside." Our guide Liz was outstanding. Can't say enough about her knowledge, humor, kindness to all. The food and lodging was outstanding. No complaints. I would of liked to hike a little more but knew that we were in a group and didn't always have time to go off and explore on our own. The coach driver Marcin was wonderful. So courteous and did a fanstatic job driving. "The island of Iona. Climbed to the highest point on the island and had an amazing 360 degree view." This was my third Rick Steve's tour and it did not disappoint. Liz was an extremely knowledgeable guide with a great sense of humor. I can honestly say I enjoyed every minute of it! "I had several - I loved arriving at the Urquhart Castle by boat and having time to explore the castle ruins. What started as a rainy morning on Loch Ness turned into a gorgeous sunny day with beautiful views. I'm also a sucker for animals so being able to stop to see the hairy coos, and to visit the working sheep farm made my heart so happy!" This was my first trip to Europe. I loved it. The jet lag was worth it. So much history shared by our wonderful tour guide (Liz) and contemporary issues. Singalongs, picnics, castles and cathedrals....not to mention the crowning glory at Brannock Burn. Everything was good. The food, the drink, the group, the guide, our sweet bus driver. "Stirling Castle was amazing. The restoration was wonderful and the tapestry reproductions amazing. I also loved Oban"
It's amazing how a group of strangers can become friends in such a short period of time. I guess that's what shared experiences are about. The trip was pretty quick paced and we saw a lot. Our guide was exceptional and had so much knowledge about the country (and clearly loves her country) so there was no opportunity to be bored. I took notes (my traveling partner was laughing at me) so I could remember what she told us. I highly recommend seeing Scotland on this tour. "How beautiful the country is and how much it rained! Really, learning and seeing the history of the country was amazing." I had a wonderful experience with Rick Steves in Scotland. Loved the country, the people, the tour, accommodations, pace and schedule. "Actually the Ferries between Oban and Iona gave me my favorite scenic thrill, followed closely by Glen Coe and the Ben Nevis area." Enjoyed the many facets of the tour. The sights, the history and activities. "I feel the wow moments were around every bend, every place the tour took me." The weather was very changeable - sun, rain, mist, clouds, high winds all in the space of a relatively short time. It was great! We loved the history, music, culture and art work discussed by our guide, Liz. Would definitely take another tour with Liz. Food was good to excellent at all venues. Liz & R.S. books had very good suggestions and local hotel & B and B's were very convenient to all our interests. "There were many 'wow' moments, but I would have to say the breathtaking scenery and the effect of different light on the landscape was extraordinary. I also was 'wow-ed' by the historical castles and Iona. We felt bad for the shepherd and his family at the sheep dog demonstration - it was pouring rain! But he kept his sense of humor. The ski area at Ben Nevis reminded us of home." This was our first Rick Steves tour and we thoroughly enjoyed it. Liz is an excellent guide and a delightful storyteller. Her vast knowledge, obvious love of Scotland, and wonderful presentation was one of the best parts of the tour. There's lots of interesting stuff in Scotland, but the way Liz tied it together with history and stories made it an exceptionally enjoyable experience. The weather wasn't great all the time, but being from the Northwest, we kind of expected that. We loved the tour. "Hard to choose: I guess I would say the Loch Ness cruise (didn't see the monster, dang!) followed by Urquhart castle. I also really liked the Culloden battle field and wish we could have spent more time there, but I might be in the minority on that. I also have to mention Gilley (not sure on the name?) the bagpiper at Loch Tay. I love bagpipe music and she was amazing. Also, everything else on the tour." This was a great tour. We had a wonderful guide and interesting group of fellow travelers. I really enjoyed learning all about the History of Scotland. I really want to come back and stay longer in several places. "I think the prehistoric crannogs were the most unexpected "wow" moment. But I was also '"wowed" by Stirling Castle and Cawdor Castle. I think my very most favorite was Gillie McNabb's playing of the bagpipes in Kenmore. She was awesome!" Much more wonderful than I could have hoped. Hotels were topnotch; tour guide was terrific; bus was comfortable and easy to see out the windows; places we visited all added to the excellence of the tour. I would, and do, highly recommend this tour to my family and friends. "The beauty of Scotland. All the mountains, rivers, lochs, etc., and historic places." Our guide Liz was exceptional and she made our tour outstanding. This is our 4th Rick Steves' tour and we know guides can make such a difference. Liz was so knowledgeable and also explained things so well that we feel like we got the best Scottish history lesson. She also cared about each one of us. Thank you very much, Liz. "When I got to see the "Stone of Scone"." Fantastic, first time tour traveler. The Best of Scotland was perfect. Our guide Liz was the best, started off as our guide ended up as our friend. The extras were appreciated (the treats, the whiskey sampling, even the costume picture toward the end) Thank you Liz. The tour covered the beautiful Country magnificently! "I wasn"t to sure about the sheep dog demnstration, but it ended up as entertaining and amazing. Then to beautiful Country, the Castles and History. The whole trip was a wow moment." It was my first Rick Steve's tour and my first experience doing a guided tour of any kind and I was very happy with the whole experience. I felt the tour was very well organized and very informative and I really felt like I had experienced Scotland. "My favorite "wow" moment would be seeing the scenery around Glencoe -it was my idea about what Scotland would look like. I would also have to say the trip to Iona and the views from on top of the mountain from a hike we took where very spectacular." It was everything I had hoped for in a Rick Steves tour and even more! Even though it was our first Rick Steves tour, having used his materials before and having heard so many good things about the tours, I fully expected it to be good. But I had no idea how valuable it would be to have such a knowledgeable guide and to have so many details taken care of for us. The whole experience just felt so "right." "Even though it was cut short due to rain and wind my favorite thing was probably the sheep dog demonstration. I could have watched that for hours. What I enjoy most about travel is learning about and seeing how people live in different places. This was one of those opportunities." It was a wonderful tour where we saw many memorable sights. The food was very good and the smaller group was nice. The other tour members were great. The hotels were lovely. Our tour guide, James, was not to be beat with his knowledge of all facets of Scotland and kindness. "I particularly loved the sheep dog demonstrations and Cawdor Castle and it's beautiful gardens. But all the sights were very interesting." "Visiting Glencoe without a doubt. The natural landscape is exceptional in its raw beauty and was awe inspiring." It was an interesting and entertaining tour. I'd recommend it to people who like history and are fairly physically able. Walks weren't too long nor difficult but the days were quite full. There was a fair bit of travel due to the distance covered but our guide broke the travel up very well. The bus was large so lots of space per person. Accommodations excellent and food was incredible. No negative comments about anything. Great group too. "Other than our amazing guide, my 2 favourite parts were the sheep dog demonstration and the bagpiper demo. Both excellent presenters. Lots of other memorable parts." The only thing keeping this experience from being perfect was the tail end of Storm Ali. Unfortunately this weather cancelled our trip to the Isle of Mull, and Iona. Very disappointed as Mull is the ancestral home of my clan. Alternate options were arranged for the day but we stayed in our snug room and watched the drama of the storm unfolding outside our window. Awe-some! "The walk to see the ancient trees and waterfalls in The Hermitage. Again, filled me with awe." Great guide, great group, well designed itinerary....it was a very enjoyable experience, despite the weather. The well designed itinerary, plus James's insights, (and singing! ), brought Scottish history and culture alive. "The Culloden battlefield, with its excellent indoor displays, and especially the guided tour of the actual field of combat, was my tour highlight. James had prepared us well with his advance commentary, and then the story of Bonny Prince Charlie was brought to life by the displays and the local guide on the battlefield. Neil and his sheep dogs would be my second choice." Just what we have come to expect from a Rick Steves tour. History recent and past, culture, and a fantastic tour guide, James. I would recommend him to anyone interested in Scotland. "So many, but meeting Dale and his border collies was very interesting and so different from the demonstrations on the Ireland and England/Wales trips. Loved his directness and his family of dogs was really fun to watch. Also, the lady who played the bagpipes for us. Oh my, was she funny, down to earth, and so so very talented!! Both were true highlights." Loved this tour! It was a great overview of Scotland.The only thing I would do different is make it longer & include more of the northern area & the Orkneys. I would also love to see James lead a tour of the Hebrides Islands. "The Castles in general & the history behind them. I loved the Highlands around Glenco. Absolutely stunning scenery!" We were fortunate to have THE best group and guide we could have possibly hoped for. Extremely compatible traveling companions and we feel that was due, in large part, to the tour expectations that Rick Steve's puts forward -- no complainers, adventurous people who are good striking out on their own, who are flexible when plans change (due to weather, etc.) and have good mobility. Loved the sheepdog day and the weaving demonstration on Mull. "Glencoe - totally WOW. It was not what I was expecting and it was just majestic and impressive. It was a drab, drizzly day and I don't think anybody minded." We had a very good time on our first RS tour (and multi-day tour of any kind). The 10-day Scotland tour was a good introduction to a country neither my wife or I had visited before because it showed us places it would have taken much longer to discover on our own. I liked the group, and the tour guide was outstanding. The earliest part of the tour was the strongest, with a nice combination of activities/walking. The hotels were fine, nicely idiosyncratic yet comfortable. Meals were good. "I thought Day 3 was a WOW moment in it's entirety. Starting the day at Culross palace and village was wonderful, enhanced by being there "before opening" and getting to talk to the guide/manager. The village of Kenmore was delightful as was the Kenmore Inn and being led by Brian on an impromptu walk/tour of the abandoned Kenmore Castle before dinner. The bagpipe demo was great, enhanced by my wife's playing...."
I had anticipated doing this trip for a long time. Scotland has always held a mystique for me. It was great. I had no idea that Scotland was so wooded or had so many waterfalls. The people on the tour were wonderful and Brian was extremely knowledgeable with a great sense of timing and humor. The schedule was a bit full and there were times I wished we had more downtime or time to spend on our own especially at Kenmore. "Not sure that I had one major wow moment. I really enjoyed the Crannog and the shepherd dog performances, but probably the hit was the valley in the Highlands where we were surrounded by waterfalls about every 300 yards. Urquhart castle was fascinating and the view was wonderful of Loch Ness. The view across the channel to Iona was especially memorable as the book of Kells is a fascination to me. As a golfer the visit to St Andrews was also special." This was our second RS tour and it was every bit as wonderful as our first delightful experience in Rome. The people we met and enjoyed on the tour were great, seasoned travelers and our guide, Brian, was was knowledgeable, hospitable, and had a great sense of humor. He was the perfect guide for the trip! "We had a bunch, but the biggest surprise for me was the stop at the impressive Kelpie horse statues." Brian Hay was fabulous. After people realized what an understated Scottish sense of humor was, we fell into delight with his comments. Everything you thought of was Scottish, you got a sampling of it: how to make scones, pub experience, sheepdogs, bagpipe music, medieval cathedrals and castles. There was a good balance between tour time and your own exploring, dinners with the group and on your own. "We were not able to go to Iona because of the sea water alert. Brian always seemed to come up with plan B (sometimes, plan C). He took us to Ardalanish, Isle of Mull weaving workshop. I thought that I was in heaven! I bought several skeins of Aran yarn. While I am knitting my cable-design scarf, I will be remembering the wonderful time that I had in Scotland." I have done other traveling but this was the best. You get a laid out plan with a well educated guide. Any issues come up the guide can help solve them. I learned so much about the places we went. I cant wait to do this again. "Touching places that my ancestors touched." To begin with our leader, Brian, was just great. His knowledge of Scotland in all manners was top-notch. Each day had new discoveries as well as some free time to do things on our own. The only disappointment was not getting out to the island of Iona....but the best was made of our time by visiting a wool mill on Mull Island using 19th century technology. Our primary coach driver, Alan, was extremely friendly, and our driver on the island of Mull, Richard, was phenomenal as well. It's very difficult to rate this tour. I would put it between very good and good. The tour experience depends a lot on the guide. I did like the itinerary, the castles and the overall scenic drives and countryside. This was an excellent itinerary. There was a good balance of things to see inter spaced with free time. It had interesting local education along with history. Enjoyed the history offered by our guide Martin. He presented with a great deal of humor. The driver was courteous and patient, the bus clean and well taken care of. The hotels were outstanding. Loved that they were small B & B type hotels. This made it much more personable. We had a friendly group of fellow travelers. "I'm not sure there was a true WOW moment. Overall loved the highlands and the local flavor. The favorite B & B had to be in Kenmore - a beautiful setting and hotel. Enjoyed the bagpipes and sheep dogs. Loved Urquart and Stirling Castle." Overall our Scotland experience was fabulous! We took the Rick Steves Best of Europe tour in 2017 and I was not sure I would enjoy Scotland as much as the 2017 tour. I was wrong! I loved both tours, each one different but perfect! Scotland had so many surprises for me, castles everywhere, the people are so nice and helpful, and the food was great. I love to shop and there were many opportunities to shop in unique Scottish crafters shops. "My favorite "wow" moment from our tour was The Isle of Iona. I wish we had more time there, it was such an inspiring place. When Martin sang acapelo in the chapel there, the lighthouse and castle on the ferry ride over made the trip just perfect!" We loved the Scotland tour. We had such a great group of people on our tour and cant say enough about our guide. We would definitely consider another Rick Steves tour. "Seeing St Andrews would have to be favorite wow moment. Walking on the Old Course where so many legends in golf have walked and also getting in 18 holes of golf was great. Pictures taken on the famous Swilken Bridge was also very special." Martin was our tour guide and it his knowledge of the history of Scotland that had me hooked for the trip. Also his wonderful sense of humor made the trip great fun. He was a constant source of information even when we were walking from one place to another. Also it was interesting to see the information on the Eriskin family name that is associated with the Earl of Marr. "Dont have one it was all great." First of all, let me say it is hard to mess up Scotland! It is an awesomely beautiful, historic place. I felt the tour allowed us to experience its many facets. Could we have spent longer in certain places? Of course, but then we would have missed others. We were blessed with a congenial mixed-age group which brought more value to the tour. Edinburgh was enchanting. As with many RS tours, there was a mix of city and countryside. Our guide Martin, was a delightful gentleman and scholar. "Scotland's charm quietly invaded my soul. I never tired of seeing the rock walls and the sheep. However, my wow moment centers round ruins. This way I can have two wow moments: the ruins of the Cathedral at St. Andrews and the ruins of Urquhart Castle. So beautiful. A shout out to Gilly the bagpipe player and Neil the Shepherd. The crannogs were a nice surprise, I didn't expect much there and was really impressed by the Center." I had high expectations (having been on a RS tour before) and they were completely met. 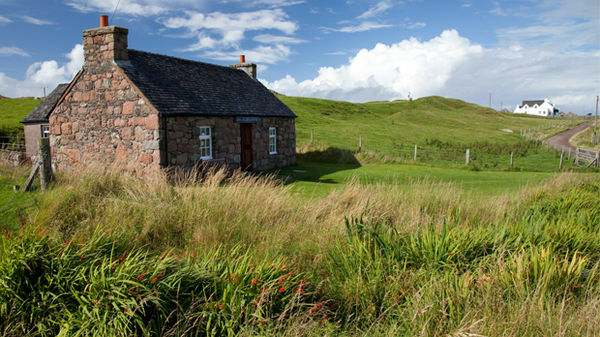 "As a golfer, it was hands down St. Andrews. We went early to play the course and really enjoyed returning with the tour, being with Mark as he drove the bus right through the course and having time to have lunch at the clubhouse of the most famous golf course in the world. Our wives enjoyed the cathedral ruins and the shopping there-what a beautiful and unique little university town!" Every day was packed with great sights and experience. Zero boredom factor. "Castles, lakes and the sea and I loved the sheep farm/border collie stop, Oban & Iona." This tour follows on the heels of our tour in Switzerland.I found it difficult to rate this tour; good or very good? I thought the itinerary was good for the time allotted. "The dramatic views of the ancient castles." Enjoyed Scotland, but wished we had a more personable guide. "I really was wowed by the Prehistoric Cannogs. The on-site guide was so informative and realistic. Great learning about how the people survived in the homesteads. Totally unexpected." I was pleasantly surprised with this coach tour...I was afraid there would be so much time on the bus, but, it was really broken up with plenty of stops. I loved the free time we had. The hotels (B&Bs) were fabulous. I loved going to recommended pubs and restaurants. "Definitely meeting the shepherd with his working sheep dogs. It was an "off the beaten path" spot and the gentleman was no nonsense, but friendly and really cared that we understood what he and his dogs accomplished." My first experience with traveling in a tour group was a very pleasant surprise. It was a great history lesson as well as an inspirational experience. I enjoyed getting to know all of my fellow travelers and felt comfortable with all of the places we visited. "Neil with the sheepdogs. His relationship with his dogs and sheep was amazing." "the Crannogs was the place where I truly enjoyed; the Mull woolen mill was second." This was our first Rick Steves tour and we honestly weren't sure. It exceeded our expectations to the extent we are looking at other tours for this next year. We had a outstnading guide, Anne, who was incredibly knowledgeable, tuned to the needs and interests of her travelers, and constantly looking forward, planning to ensure all went well. And...we totally bought into the company philosophy which seemed to fit well...hitting the big things but experiencing things off the "beaten path." "`Playing golf in Scotland. It wasn't scheduled, but our guide, Anne made it happen for three of us." Though we've followed the RS travel philosophy for many years of overseas travel, this was our first participation in an organized tour of any kind. Our guide Anne was personable and very knowledgeable, setting a comfortable pace with lots of freedom to do our own thing. We certainly got more out of our travels with Anne than if we free-formed on our own, making for a memorable and enlightening trip through Scotland and its history. "Overall, Scotland was an unexpected WOW moment. Really enjoyed the visit to the Leault Farm and marveling at shepherd Neil and his amazing sheep herding border collies. Conquering (and enjoying) haggis and tasting through some amazing whiskies was great, too." My overall experience was very good. From very nice hotels to great meals, I liked most everything about the tour. "I thought the boat tour of Loch Ness and the tour of the castle on Loch Ness were "wow" moments." We had a wonderful time in Scotland. The trip was just as described. Well organized. Great group of travelers. I highly recommend it. "The "Palace" at Culross was a wonderful surprise. Though not a palace, it was unique and amazing. I have never seen a place like it. Well worth the visit. And of course the sheep and dog show! What incredible dogs. I was just mesmerized watching them work. I would not have believed that dogs could be trained like that if I had not seen it. No idea how the dogs know which one he is talking to but they do and they sure know the commands." Our tour guide, Anne, exceeded our expectations again and again. She brought the heart of Scotland alive with her knowledge and wit. It was the people who made the trip. The Rick Steves' people as well as the people of Scotland. We loved the history, the music, the culture, the landscape. The variety of experience. Each day was different and exciting. It was the best trip beyond what we expected. So many great memories! "Difficult to chose just one. I loved Oban and the Hebrides. I really loved the walking tour in Edinburgh with Andrea (Andi) and the drive through the highlands with the Scottish music playing. Seeing the highlands, the green rolling hills with the heather and the sheep might be best moments. It was beautiful even in the rain." Our Scotland trip experience was what keeps Rick Steves people signing up for more tours. We learned a lot while having fun. We returned amazed at how much we had seen and done without feeling rushed or hurried. We grew very fond of our guide and admired her energy level. We made friends among our fellow travelers. A great trip! "The visit to the crannog was at the time my favorite because I was fascinated how well the story of these ancient people and their way of life is told by the reconstruction and the guides. But, on reflection, I think the visit to Stirling Castle had an even greater impact. I was impressed by the amount of effort and the care in the work to rebuild the castle and you don't have to tax your imagination to be awed." I had never been to Scotland before. Helen was a great tour guide and all my fellow travelers were wonderful. Scotland was an interesting place to visit. So much history! "Crannogs Centre was the most unusual highlight. Didn't know anything about the Iron Age." Enjoyed the trip immensely: found Edinburgh charming with a lot of history to check into with its architecture, beautiful gardens, Museum of Scotland, & coffee houses. I found Inverness quite urban & Oban very much like Seattle & Bergen. Our guide, Helen, was quite knowledgeable, friendly, surprisingly spry, & full of tidbits of Scottish history, the characters that peopled them, & national policies today. A worthy excursion! "Probably visiting Inverness, walking the streets, & stopping in Leakey's Bookshop to see all they had to offer & strolling hback to the hotel after dinner hearing K. T. Turnstall singing in concert across the River Ness." the best.first rs tour.really fun.well planned.helen is the best guide.smart,fun,informative,runs things on time.very very smart.great people in group.back up visits were also great when plan was not possible-closed ferry. great way to travel.being handled is great. "many wow moments border collies roundup crannogs both incredible!!! loves country and history and i don't know or interested in history until this trip.again helen made it al interesting. all hotels were good. Bonham awesome,kenmore great,inverness and oban also were perfect"
Normally, we plan our own travel and tours, but decided for our 20th Anniversary to let Rick Steves do all of the planning for us. It was a very good decision, as we had a wonderful time. From the introductory meeting to the final goodbyes, all went smoothly and we enjoyed the many experiences. Our tour guide, Helen, was exceptional! She was very personable and knowledgable about all things Scotland, being from Scotland, she shared many wonderful historical stories with us each day. "Just sitting in the front of the bus, watching the beautiful landscapes go by with castles, sheep, cows, mountains and valleys was especially enjoyable. My favorite moments were the visit to the crannog, shearing and feeding the sheep at Neil's sheepdog demo, and the beautiful Isle of Mull." Great trip! Great guide and bus driver; they were an excellent team. Bad weather kept us from taking the ferry to Iona, but Helen put plan B in place and we had a great day anyway. I loved the frequent short stops for photo ops that also allowed us to stretch our legs a bit. I love your tours! "The surprise picnic at the Cava Cairns. I knew a picnic was scheduled that day, but having seen no food on the bus, I wasn't sure what was to happen. But we came out of the cairns and there it was: two picnic tables of delicious meats, cheeses, etc, beverages and desserts. What a lovely place to have a picnic. Also, we took our group picture right there after the picnic. And imagine our surprise when at our group dinner that night, Helen passed out a copy of the photo to each of us!!" Scotland exceeded all of my expectations. I love the Scots, their accents, their wellcome. It is a very green, fresh air country. Their Highlands history is wild. Overwhelming key to our tour success was our guide ,Helen. Her enthusiasm was infectious and with the usual excellent demographics of Rick clients, the result was an A + tour. The comfort, space of our bus and the excellence of our Weegie driver. The Bonham hotel in Edinburgh. "Neil's border collie shepherding extravaganza. Wow! Neck in neck, the Crannog at Kenmore, especially the fire making demo. Such enthusiastic hosts. The rain coming at us sideways at Oban on the way to an excellent fish restaurant. The misty morning walk to Edinburgh Castle. The starting and ending hotel, the Bonham, wanted to stay on just for their breakfasts and single malt advice." We loved Scotland! The tour exceeded our expectations. Great guide, tour group members, and wonderful itinerary. Could not have asked for a better experience. We hope additional Scotland tours are added in the future as we do not plan to drive ourselves on the left side of the road! "It's always so hard to find a single "wow" moment. The one where I laughed until I cried was going to see Neil manage his dogs and sheep!" Every Rick Steves' tour never disappoints. The days are comfortably packed with fantastic sights and experiences. I have learned so much and Helen was a gem. The tour group was wonderful. What I noticed about the couples was that each couple was very loving and caring to one another. A great atmosphere for enjoying the tour. I hope we can do another tour next year. Rick Steves' tours are my favorite addiction! "My Husband loved Sterling Castle and my moment was when I became aware of the thrill of the highlands of Scotland. From the invigorating weather, the primal scenery, the lovely people, the Scottish spirit, etc. gee I wish I was Scottish." This was our first Rick Steve's tour and will not be the last. Everything was perfect. "I loved the sheep dog experience and the Scottish folk music at the pub in Inverness"
Tour was jammed full morning till evening. Good historical information about Scotland. The our needed much more free time or time on our own. "Sheep herding demo Bagpipe demo." Best of Scotland tour was wonderful. 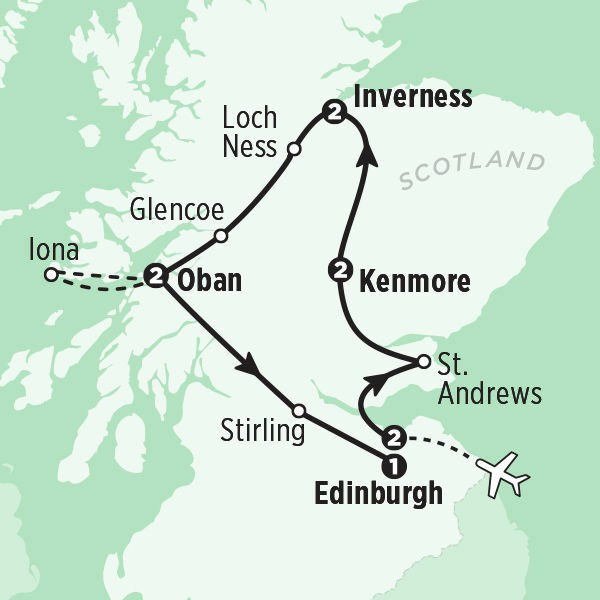 I have always wanted to go to the Edinburgh and to the Highlands and this tour offered both. Scotland delivered all its best. We were lucky that we did not encounter bad weather for most of the trip, except at Oban and the Isle of Mull. But it never daunted the spirit of the group in my estimation. I loved learning about Scottish history. "My favorite wow moment was arriving at Glencoe after some rain and seeing all the waterfalls that had appeared and were flowing down the peaks. For me it was quintessential Scotland." All the activities were wonderful, especially the Sheep Dog Sheep Herding at Neil's. Helen did an excellent job of telling us about the history of Scotland and the places we visited When we could not take the ferry to Iona due to weather she got us to great native activities, the Ardalanish Isle of Mull Weavers and Duart Castle. John our driver was very friendly and shared his knowledge about the places we visited. We felt safe and comfortable all the time we were on the bus. "The Sheep Dog Sheep Herding and the Gondola ride to the Nevis Range ski area with a hike to the view point." As our first-ever group tour, this far exceeded every expectation. Our tour guide was outstanding, helping to understand the history, culture and current politics in Scotland. Our group was so much fun and every person was a pleasure to get to know. The creation of our closed Facebook group was a unanimous decision and it is great to be able to share pictures and stay in touch. It was a personally enriching experience for me. "It is difficult to pick one experience but I was "wow'ed" by the trip to the sheep farm and the demonstration of the dog's skills. The shepherd was amazing as he sheared allowed me to help shear a sheep. I was also "wow'ed" but a visit from the piper, Gillie. She was funny and entertaining and so easy to get to know. My husband volunteered to try to play the bagpipe and developed a new understanding of the strength and skill needed." "So many moments! But one in particular (though this might seem simplistic it was different from most of we did) was the stop to the sheep dog ranch. I'm not an animal lover particularly but I was so impressed with these dogs and their love of master! Again educational for someone like me who still appreciates learning." The tour was excellent. We know it was intended a sample of all of Scotland, but if we went back we would like to spend more time in Edinburgh, at Culloden battlefield, Iona, Stirling castle, St. Andrew's, the Glencoe area and Oban. "I absolutely loved going to see the working sheepdogs and learning about the shepherd life and how he trains and treats his dogs and sheep. This was a highlight of the trip for me. Secondly, the visit to the Crannog Visitor Center and learning about life there." It was well organized and well executed. We were not disappointed about anything except it wasn't longer. "Looking back at the pictures, I am most impressed by the falls at the Hermitage, although at the time it seemed to be so "usual"...a tribute to the guide's expertise. Another surprise was our Piper Gillie at Kenmore. It was great to hear her stories and music. (since my husband is a beginner piper, I have heard my share of pipes--conventions, etc...It was super!)" The tour lived up to the Rick Steves reputation. Hotels were gracious, comfortable and had wonderful character- especially in Kenmore and Oban. I don't just mean they were old but managed with pride and in lovely locations. Edinburgh is such a walkable and gracious city. I had forgotten how fascinating it is. In contrast the countryside, especially the highlands had a different beauty. The hills, the forests, the lochs, and the seaside were such a combination of color and weather. "This hard to pick as there were many. The visit to Oban and ferries to Mull and Iona, especially Iona, are definitely at the top of the list." It was the first tour from Rick Steeves that we took. An excellent experience. Made 23 friends that made my experience in my mind better. The tour was beyond my expectations and my expectations were high. From the daily destinations to the hotel accommodations and, especially, the tour guide. I couldn't have asked for a better experience. "The whole experience of Edinburgh. From the castle to the memorials spread around the city to the Royal Mile and whisky tasting ventures. We definitely could have spent a few more days in the city and not exhausted all of its possibilities." No negatives except not enough free time. It was a fun and good learning experience. Good to get away from home. Also it was important to experience another culture. "Trip to Iona was memorable--rain included." This tour hit the Main Tourist stops of Scotland, Food was good, Hotels were unique and Brian hit the high points of Modern Scotland. He also gave a brief history of Scotland and its wars with England. "The wow moments for me were at Culloden and on Iona & Oban. Our Stay at Glenburnie was delightful. I was pleased to have a short visit with Neil Ross, the shepherd, about everyday life for a Scot not just dealing with those selling something for the tourist industry (most of whom were European not even British). The hikes to the Hermitage and Ben Nevis were also exhilarating." "The beauty of the Scottish Highlands." As always the Rick Steves Tours were very informative and packed full of interesting things to see and do, with plenty of time to explore on our own. Our excellent guide, Brian, made the tour a pleasure. "It's hard to pick one moment or event, but the morning spent at the Crannog Center stands out as particularly interesting and opened my eyes to the high level of technical skill the Bronze Age peoples had developed." The tour was excellent. It was filled with so much interesting history, sights to visit, beautiful scenery and great stories by our tour guide, Brian Hay. "The visit to the Crannog center on Loch Tay. Although this site was a recreation, it provided an important insight into how people lived there 2500 years ago. To me, it was amazing how resourceful they were, given the conditions and environment of that period of time." The itinerary was jam packed, but excellent. I sometimes felt like I wanted more free time or more time in some stops, but there isn't anything on the tour I would take out. Our guide Brian was exceptional and provided a great history lesson on Scotland and answered all of our questions. "Visiting Aonach Mor and hiking around the mountains for the gorgeous views of the valley and Ben Nevis. Glencoe and Culloden were hauntingly beautiful." The tour was great - a nice mix of cities and countryside. The landscape is absolutely stunning in Scotland. I really enjoyed some of the drives, especially through Glencoe. We also enjoyed the scotch tasting. We are not big scotch drinkers, but it was interesting to learn about how it is made and how to "taste" the scotch. "I think one of our wow moments was enjoying Oban." For a 10-day tour, it was well-paced, friendly, well-organized and fun. It hit nearly all the must-see sites & included several diverse/smaller interesting spots & "Rick Steves" experiences that were pleasant surprises. The group size was perfect & fellow travelers were interesting, friendly and great company (Definitely no grumps in our group!) We really enjoyed having free-time to explore on our own, but found the group travel time just right, too. A great value & experience! "@ Cava Cairns, discovered stones placed nearly @ major compass points and 30 degrees apart. Fascinating for pre-history culture! @ Crannogs was stunned by intelligence & creativity of ancient people who lived there." This was my first Rick Steves tour. I thought the tour was excellent, like a very well run machine. I especially liked the the way we could bypass getting tickets to sites. I did not like using the vox, mainly the earplugs were poor. I used the ones I got on the city bus tour in Edinburgh. Didn't think the Black Linn Falls was that special. More time in Dunkeld. Would have liked to see a parade of bag pipers. "I especially liked the the day on Iona. I am a history buff. It was a very spiritual and peaceful place. We hiked to the beach and would have loved to spend more time there. I collected shells on the beach. I also liked the visit to St. Andrews and we walked the golf course and walked along the beach. I enjoyed all the sites in Edinburgh. We spent extra days there and got to see a lot of the city." This was our second tour (the first was with Amanda in Spain in 2016). Colin was outstanding . The hotels were in great locations although the Parliament House was a bit too small and congested. Also, there was one staff member at the Parliament House ( a young lady with glasses from the Dublin area) who went above and beyond the call of duty. Overall, we enjoyed the tour. The other travelers were all great people. "The most "wow" moment for me was the sheep herding exhibition with the Shelter Collies. Truly amazing and something we may not have experienced but for this tour." This was my first group tour and glad it was a Rick Steve's Tour. I realize that it was special. Although, when I received the list of fellow travelers I was shocked that the group size was 27. I was expecting around 20. As it turns out 27 people take longer to get on and off the bus (a negative). People in the back of the bus are too far from the action in the front. Responses to questions from Colin were answered by the people in the front-he couldn't hear us from the back. "We walked to the north shore on Iona and arriving at the beach was that special find." Great guide! Great destination. Bus driver was great as well, as were all the accommodations. We actually had great sunny weather for the most part as well. All good. "Iona. I for one wasn't even aware of it. Completely unique and unexpected." I don't think we could have done and seen what we did had we not been on a Rick Steves' Tour - sheer sheep, feed baby lambs, play a bag pipe, dip our feet in Loch Lomond, cruise across Loch Mess, and get to the isles of Mull and Iona. There was so much to do. On this Rick Steves' Tour we saw the beauty and variety of The Scottish countryside, learned the meaning of Gaelic words and visited many important places from Scotland's history. "Seeing fireworks accompanied by classical music eminate from the Edinburgh castle." It was everything I hoped for. I hate we didn't have more time to spend in some places, but it's hard when there are so many things to see you can't spend all day or you'd never get anywhere. I would do it again and again. "I have to say I have thought about this for a while and I loved the highlands. I enjoyed everything but the highlands just took my breath away. I just can't imagine anything else being as beautiful. I did truly enjoy the sheepherding too, those dogs sure are smart! I enjoyed looking for Nessie too, the scenery was just beautiful." I loved the diversity of experiences and scenery of glorious Scotland. Each day brought a new adventure and learning. I initially struggled with the Rick Steves philosophy and restraints of group travel, but I adjusted and went with the flow. This was my first RS tour. "I experienced so many wows, but our pilgrimage to Iona clearly stands out at the top of my favorites. The weather was glorious, the local guide was exemplary, and the raw beauty took my breath away. I intend to return!" Colin was very knowledgeable and had a good sense of humor. Enjoyed seeing Scotland with him. Overall, this tour was five-star! The local guides were knowledgeable and friendly, and Julia was so helpful and knowledgeable. I'm looking forward to my next tour. "I really enjoyed the sheep herding experience and the visits to Stirling Castle and St.Andrews were memorable. This tour was designed to maximize our learning experiences!!" Another excellent tour experience with RS! In combination with the touring we did on our own in Scotland, we felt like we got a very good taste of what the country is like. Our biggest disappointment was that we didn't have more time in Oban. While it was interesting to visit the Isle of Iona, I'm not sure it was worth the overhead of getting there. We would have preferred to spend more time along the west coastline. "My personal favorite was the time we spent in Dunkeld when we could mix with the locals at the local Highland Games and walk along the river. Most of my favorite trip experiences were things we did on our own in Edinburgh, like attending the Tattoo and visiting the Palace of Holyrood and the RMS Britannia." This was a wonderful trip and Julia was a wonderful tour guide. "I loved the sheepdog demonstration with Neal. We also enjoyed the Crannog Centre on Lock Tay. Also, the music at McGregor's was great fun!" Overall tour experience was just as I expect from a RS tour: Great guide, roomy bus, comfortable hotels, WONDERFUL local guides and experiences. "My favorite "wow" moment was the visit to the crannog. We had a lovely guide who was passionate about her work. It showed through her presentation and her interaction with the group." "The local guide in Edinburgh taking us to unique neighbourhoods." Great mix of activities. The locations we visited fit my interests well. Would like to have spent more time in Oban. The trip to Iona took a lot of time. More to do in Oban than time allowed. "The Highland Games and walk along the river back to the hotel in Dunkeld. A great glimpse into local culture followed by a scenic walk!!" As this was my wife and I first tour experience I was a little apprehensive, but it turned out exceeding my expectations. The tour was Fun! I loved having someone else do the driving and all the planning and activity coordination. It allowed me to relax and enjoy. The hotels had lots of character and were in great locations to explore the local areas. The dinners were good and varied and in fun locations. The sightseeing tours were both educational and great fun. "There were many. I loved Edinburgh. I need to go back and spend some more time there. Also,being a golfer, I loved going to St Andrews and watching the golfers play the 1st and 18th holes on the "Old" course." Very well organized. Good balance of activities and free time. Julia was a fabulous tour guide. Very informative, personable. Looked out for everyone's needs. Able to attend Highland games one afternoon which was a unigue experience as well as a "fiddle" session in an Inverness Pub. Julia even showed off some of her dance moves. Our group was very cohesive. "Really enjoyed the trip to Iona. Would be great to spend a night there. Not enough time to really explore the island with current ferry times/constraints." Julia was knowledgeable, organized, and most importantly she was great fun. Her love of Scotland was contagious and I caught it. I thought the itinerary was a good mix of urban and rural and had enough free time for exploring. "This question is always difficult. Watching the sheepdogs work was definitely a highlight. However, just having the opportunity to see the dramatic landscapes of the highlands was awe inspiring. On just an interesting note, no pun intended, the bagpipe demonstration was such fun." One of the best trips of my life! I learned so much about the history, the people and the beauty that makes Scotland so special. This trip surpassed my expectations and fulfilled so many things on my bucket list. "Every where we went had a "WOW" facter but my favorites were fulfilling a few bucket list whishes. Getting a chance to play a bagpipe was amazing. The sheepdog demonstration was unbelievable and to actually take part of shearing a sheep was awesome. Attending the Highland Games in Kenmore was a wish come true. Loch Ness was so beautiful eventhough we didn't see Nessie. Urquhart Castle was breathtaking. Oban and the Isles charming." At the meet and greet our tour group met as strangers and left as friends. Our tour leader, Julia, set the tone for the tour and made us all feel welcome. The tour was busy but there was some down time where we were able to relax and enjoy Scotland on our own. "Free time at the Highland Games in Dunkeld, mingling with the locals, walking back along the river back to our hotel and then the lady piper playing after dinner. Excellent day"
Julia did a very good job as our guide. She set a nice pace for the group. She made it clear we needed to be on time but didn't threaten us with consequences. I like the smaller group size. I think we get into more places because we're not a huge group and there's room to spread out in the bus. I appreciated the scope of the trip, the big city, the country, the seaside. Accommodations were nice, bathrooms were tight. Very nice group of travelers. "I have been to Edinburgh Castle on a previous tour. I enjoyed the National Museum of Scotland; the Culross country mansion; the Dunkeld country hotel; Rachel the guide at the crannogs was excellent; Dewars distillery tour; the sheep farm & border collie demonstration was great; Julia took us to MacGregor's Pub for a great night of local music and she danced! ; visit to Iona and the ferry ride home when Julia played the fiddle; and Cawdor Castle because it is a home." I was pleased with variety of experiences and the leadership of our guide, Julia. Liked the balance of walking and riding the bus, the expected sights and unexpected. What a wonderful adventure! Now I know why this has become such a popular destination. The country is filled with such a variety of history and beauty. It was great that tips for the guides,drivers, etc. were included in the price of the tour and we didn't have to mettle with that during the tour. Enjoyed having the headsets/wireless units as that made is much easier to hear what the guide was saying. 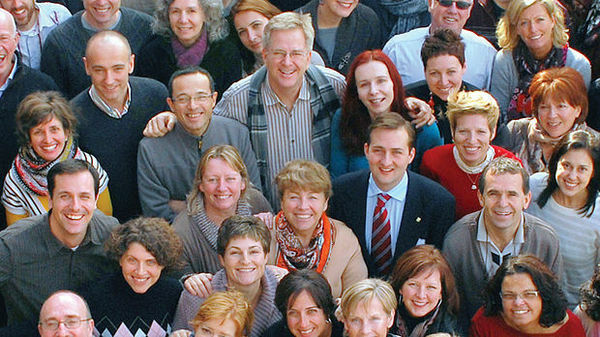 It is obvious that Rick Steves holds to his vision of everyone having a wonderful experience. "Loved the ferry and bus ride to get to the Isle of Iona. Iona was beautiful and filled with such history. Would have loved more time there to get to visit more of the Isle." I enjoyed the tour and learned a lot. Our bus driver, John, was great. He added to the success of the tour. Martin provide many extra surprises that were appreciated. One small negative. We were promised laundry service at Inverness and packed accordingly. On arrival late afternoon, the laundry service they could not guarantee our laundry would be completed by the time we were to leave the following day (36 hours later). We were left scrambling. Only choice left was at the hotel but cost of small bag of laundry was 80 pounds. "Too many to have just one. Crannog Center was exciting to me. Inverness and River Tae was beautiful. If course Edinburgh castle is overwhelming." It was a great trip. Martin was a fantastic tour leader. He was very knowledgeable, and was very good at making sure all of us were on time and were we needed to be at the appropriate time. He did a great job making adjustments to our plan for the day depending on the weather. If I would think about going on this trip again I would find out what week Martin would lead the trip, and I would book it for that week. You need to keep him as a tour leader. He is that good at what he does. "The trip to the island of Staffa. 3 of of us on the trip went on our own to the Island of Staffa and it was amazing. When we left Oban in the morning it was raining and the weather was bad. Martin thought we were crazy for wanting to got to Staffa. The weather cleared and we went to Staffa. We only had and hour on the island, but it was 1000% better than what I expected. Being a golfer I expected the trip to St Andrews would be my highlight, but Staffa was equal to my expectations"
The tour was well organized-hotels, group meals, and descriptions of tour sites and narration along the road course. The radio receivers were great and allowed everyone to hear. The coach had a good audio system while en route that added to understanding the history and culture. "I enjoyed the history of Scotland and the landscapes. The Culloden battle made sense after seeing the field and the museum. The repercussions of the battle were more impressive than the battle." A wonderful, amazing, educational trip around a beautiful country. "My WOW moment was visiting Mull and Iona." Our tour guide was very personable and extremely knowledgeable, which enhanced our trip greatly. The hotels we stayed in were wonderful! "Visiting Iona! Such a unique community with such warm people." We thoroughly enjoyed the whole trip, from exciting Edinburgh during Festival to picturesque seaside Oban. Our travel group was a great mix, with no clinkers and all the inter communication we wanted. "My favorite "wow" moment was more like an "ahhhhhh". For some reason I loved Oban. Our room was in the gabled garret of the hotel with a cozy view of the busy harbor and intermittent peeks at the many islands beyond. I thought at one point I might have been transported back in time to old Seattle, or somewhere in the San Juan's." My overall experience was very positive. I appreciated our tour guide's knowledge and advice. The tour gave a very good sample of the sights of Scotland. I was very pleased that we got to see a lot of castles but also the nature sights as well, such as The Hermitage. "Favorite "wow" moment was Glencoe. It was probably the most beautiful place we saw in Scotland. Unfortunately it was raining that day and we were not able to take many photos. I wish we could have stayed there longer. My suggestion is to allow more time there for future tours." This trip to Scotland was amazing and even better than we had hoped. Our guide, Brian, was funny, organized, and encyclopedic about Scottish history, culture, and things to do. Our bus driver, Cullen, was a rock star in navigating our big bus through traffic, sheep, and one lane roads. The many places we visited - castles, ruins, museums, gardens, churches, sheep herding demonstration, whiskey distillery, etc. were wonderful! I can't wait to go back to Scotland! "While the whole trip was one big WOW, I really loved our time at Iona since it really is a "thin" place - where the veil between man and God is thin. I also loved our drive through the Isle of Mull and our time in Kenmore, Dunkeld, Culloden, and Oban. Actually, it is hard to pick just one or a few WOW moments, because every thing on this tour was so terrific and memorable!" Brian brought Scotland to life. I felt I had read up on the places we'd be visiting and the history, etc...from the recommended reading list but Brian took the trip to a new level. "Too many to pick just one." I had a fantastic tour of Scotland. I had been before and some of the tour stops were the same but they were still exciting to see again. There were a lot of places that we visited that I hadn't even heard about. Some of these places turned out to be my most memorable. The food was exceptional and the lodging was either exceptional or typical to the area. Great, great trip!! "My most "wow" moment was the day we visited the sheepherder, Neil. He was amazing with all his working dogs and they way they were so well trained. He either whistled or said a short command and they knew exactly what to do. He also had some of us shear the sheep and some of us were able to bottle feed the sheep. He was great fun to talk to about a lot of things about his way of life. Very enjoyable stop!!" Everything about our tour was great. My wife and my sister, who traveled with us, cannot say enough about our tour guide Brian Hay and Colin , our bus driver who made the trip for us. Brian was incredibly well informed, organized and his knowledge of history about every location we visited added another dimension that we would not have had if we had not been on a tour. "Touring the castle and viewing the Highlands"
Learned about Scotish history from Brian our very knowledgeable guide. I've never taken a tour before and wasn't sure what to expect. My tour guide and group was outstanding!! I had the best time and learned so much about Scotland too. We got to experience so many wonderful things. We had fun drinking whiskey, laughing a lot, and doing so many fun things together. Touring the island of Scotland has been a lifetime dream for me. I've heard stories from my Grandparents about Scotland, but to walk where they had walked was so emotional. "Going to the Castle Stirling. My Grandfather John Ritchie was a piper for the Princess Patricia's Brigade. He use to pipe his pipes up to the castle. To be where he use to be was a thrill. I never got to meet my Grandfather as he died before I was born. But I've heard stories all my life about him and this place was very special to me." Scotland is a wonderful country. Tour leader was outstanding in every way. I would have preferred not to go to the brewery. It was loud, smelly and since I do not drink alcohol not of any interest. My preference would have been to spend more time at the Hemitage or another local nature area with a Master Gardner giving the names of trees, ferns, and other native plants. It is the only trip or tour I have ever been that when it was over I did not want to be over. The comraderie of the group and Scotland made it a great trip. "How do you have a "wow" moment when every day is one. I will say Culloden was poignant because of the likely hood some of my ancestry were there. We ordered some purchases in Dunkeld which came in today. We had a flood of emotion and would go back tomorrow. Don't tell my dogs and my cat!" We enjoyed the tour immensely. Brian was a great guide, and we were impressed with coach driver Colin's navigation ability on the narrow roads. Although we were initially a little concerned about keeping up, it was fine. We also gained some confidence going on our own, and were able to travel to Skye via train, bus and ferry with ease. "Iona was so beautiful and serene. The beautiful weather that day helped. After visiting Skye post tour on our own, I can see why the tour goes to Iona. Skye was great, but the popular places were quite overrun. Not part of the tour, but the absolute best was the Royal Military Tattoo." It was a very good tour, but not outstanding. It was the weakest of the other Rick Steve's tours we have taken. There are no complaints. Loved it! Every detail was planned perfectly and most days the weather cooperated so the times we had to be walking around sites could really be enjoyed. Great group of travelers, and my husband and I just had a great time seeing Scotland and embracing my Scottish heritage. "We went a day early to see the Military Tatoo at Edinburgh Castle - one word spectacular! But that wasn't technically part of the tour so the next best moment for me was an impromptu concert in the city square we came across in Oban by the Oban High School drum and bagpipe band. Bagpipes and music just speak to my soul! Also, the landscape and nature of the Highlands was just beautiful." I enjoyed the itinerary. Overall, the tour was jam-packed with stops. Each day, our schedule was full from the time we boarded the bus to the end of the afternoon. That said, while this gives the impression of "getting your money's worth" (not as important to me as it might be to others), it also seemed more busy than the other two Rick Steves tours we've been on (Heart of Italy; Heart of France). I liked the more leisurely pace of the other tours. I was ok with this one, but others were not. "In no particular order: The Hermitage walk--much needed R&R in nature; Clava Cairns; the Crannog Center; Loch Lomond and the sad song that goes with it; Glencoe chair lift; the bagpipe demonstration; hairy coos; sheep dog demonstration. So many highlights, I can't list them all." Wonderful trip to Scotland. We were blown away by the local's hospitality, as well as the sights. Nigel was very knowledgeable about Scottish history and the lore surrounding the events of the past. I would recommend this trip to those travelers considering a visit there. "Had to be St Andrews...a true wow moment for a golf fanatic like me. My only negative was the time allotted to our stay, NOT long enough. Suggest you stretch the visit from approx. 4 hrs to 6 or 8. Also, wanted to tour the town and cathedral ruins, ran out of time. A close 2nd was Dunkeld and our lodge accommodations. What a pristine setting on the river Tay and the lodge was magnificent." It was a very enjoyable trip. Scotland is a beautiful country. Our Guide Nigel was wonderful,So knowledgeable and prepared every day. The hotels were charming. "I especially enjoyed the experience with Niel and his incredible sheep dogs. I could have stayed there ALL day. I was amazed with the castles everywhere. Beautiful stone work & locations. Oh yes The HAIRY COOS,Such beautiful animals"
This tour was beyond my expectations. The guide, Nigel, was so knowledgeable and helpful, and he kept us moving along without being overbearing. We benefitted so much from services provided by RST: getting tickets without waiting in line, getting there ahead of the crowds and the luxurious bus service. The special group dinners provided by RST were exceptional and very much appreciated. I had a wonderful time! "The Military Tattoo in Edinburgh." The great things I heard about the RS travel guides had not been my experience in Ireland. However Nigel totally lived up to the RS guides reputation. He was knowledge, organized, and treated everyone with kindness and respect. I cannot express how impressed I was. We would love to have him as our guide again. The Itinerary was great and varied. We really got a flavor for all Scotland, the cities, lowlands, highlands, and islands. Our group was really a good group, and bus driver. "The scenery in the highlands, the mountains were beautiful." Great experience. Every one was punctual for all activities. We met some very nice people that like to travel like we do. Our bus driver was outstanding. I don't think anyone was grumpy. It was a great tour - especially since we didn't have to drive . "It's hard to pick a favorite. I love waterfalls, so the Hermitage was a favorite. However, I loved the sheepdog experience. They were amazing. We saw one in Ireland & that was amazing, but I enjoyed this more, maybe because it wasn't pouring down rain." This is my 5th tour. Every tour is special and different, but I especially enjoyed Scotland, as we didn't stay too long in the larger cities, but appreciated smaller towns also! We planned the trip to include the Royal Tattoo show in Edenborough which was excellent! Our guide Anne always listened to each person's needs and helped to get cabs, or give directions, or tell us about the best fish and chips in Scotland! (Oban fish and chips! A family owned and run place). "Singing "Amazing Grace" in the chapel on Iona. I started the song, and everyone joined in. It was a priceless memory for me. Being on the Island of Iona was amazingly spiritual and beautiful. I also really enjoyed learning about the CRANOG near Kenmore. The docents were knowledgeable and I was able to teach my friends about how it was made and used." My answers will be brief as using personal device. First European trip so doing a guided tour really worked well. Everything went very smoothly. Our tour guide Ann was outstanding and added to the Scotish feel of the tour. "Getting off the Tram in Edinburgh and seeing the castle and old town was amazing." This was my first visit to Scotland, a country I have wanted to travel to since I was young. I told my husband that Scotland was all I hoped it would be and more. Our guide, Anne, brought the country and its history to life with her knowledge, humor and love of Scotland. Our tour group members were compatible, fun and participative. I am already thinking about where I want to go next! "I cannot limit to 1 my favorite"wow" moment(s). Scenically the Glencoe Valley was spectacular & dramatic while the Isle of Iona had a tranquil, idyllic quality about it. I was drawn to the Highlands landscape and the sea the most." This was our second RS tour and it was as great as the first! Our guide Anne was the best! The tour had a nice balance of sights. Castles, churches, highlands and lowlands. The tour length was just right at 10 days. We did opt to stay an extra night in Edinburgh after the tour so we could attend the military tatoo. The military tatoo was fabulous, not part of the RS tour. The downside of doing the tour during this timeframe is that its very crowded in Edinburgh. "For me, I loved the highland sheep dog demonstration. But having said that all of the RS tour was a wow moment. I loved it all!" Scotland is a wonderful land and this tour touched on many aspects - the lochs, the ancient stones, castles, shepherds and bagpipes. "There were several, but Neil's dogs were definitely a big hit." "Tattoo and Edinburgh was on fire at this time." Great experience from start to finish. I loved the trip. This was my first Rick Steves Tour, and based on this experience I will do more. "There were many. I loved all of the sites and the variety of historical and cultural visits." Tour guide, Julia, simply great. Size of group, composition of group very nice. Timing of tour great. Really enjoyed variety of experiences and locales. Kenmore and region fun and educational as well as St. Andrews and the university. And, driver John was not only a good driver but also nearl a co guide. And Stirling Castle, although last day visit, was really an insightful experience. "First of all...MANY, but the really surprising moment was the crannogs near Kenmore[INVALID]just simply incredible and really somewhat hard to truly grasp[INVALID]a very great educational insight into history and the people's of the region." We had a great time with Julia as our tour guide. Julia's authenticity and hard work made the tour much more special. We had a challenge with a traffic accident which caused some rerouting but with Julia and John they were able to work it out with minimal challenges. The tour covers so many different experiences within the 10 days. The intensity of the tour was challenging at times and the weather was a bit cold, windy and rainy for our trip. But the people and the experiences were great. "Julia singing a Scottish tune in the small chapel from the 11th century outside the Abbey in Iona. She also humbly played the "fiddle" on the ferry back and everyone on the ferry clapped enthusiastically." How is it possible to do so much in a single day and yet never feel rushed? Every day for 10 days was filled with new sites, new experiences, new reasons to feel connected to Scotland's past and present -- and new friends! "Our guide, Julia, brought music to our excursions. When she quietly sang the mermaid song in the ancient abbey, I was transported back hundreds and hundreds of years. When she played her violin on the ferry boat, I felt like I was traveling to the heart of Scotland. When she played Scottish folk music CDs as we traveled on our tour bus, I contemplated the scenery and my heart's experiences of the day." We had an excellent time touring Scotland and learning about its history and its links to America. It was a trip to remember and we definitely recommend it. But we would never go again during the Fringe Festival and Military Tattoo in Edinburgh. The Festival and its visual pollution (flyers, tents, posters, temporary fences, crowds) detracted from the old and new Edinburgh. We feel like we did not really experience Edinburgh. We wish we had 2 more days there. "Seeing Urquhart Castle from the Jacobite tour boat on Loch Ness." We were amazed at how much we were able to experience in only 10 days. We were greatly impressed by our tour guide, Julia. her depth of knowledge about language and customs, and her willingness to share that with us was extraordinary. i cannot imagine anyone better as a guide for that tour. You are lucky to have such an eager and helpful person on your staff. "My wife and I were hoping to catch a glimpse of the Kelpies, and were planning ways we could do that after the tour. On our way back to Edinburgh, Julia had discussed making the side trip with John, our bus driver. She then announced that we were running ahead of schedule and would be able to stop at the Kelpies." We are still talking about our excellent Scottish adventure. We loved every aspect of this tour from the rich and stimulating beginning in Edinburgh to the beautiful mountains, glens, forests and coastal venues in the rural areas of Scotland. Julia, our tour guide, was exceptional. In addition to the fascinating information that she gave us, Julia also helped us to understand and appreciate the soul of Scotland. We also enjoyed our kind and interesting fellow travelers. "I wasn't sure how I was going to answer this question until we reached "The Weeping Glen". It was a rainy, misty day when we drove through the glen and the weather and Scottish music that Julia played in Glencoe were perfect backdrops for the story of the massacre that she related to us. Another "wow" moment was when Julia sang to us in the chapel on Iona. We will always remember these moments." The Tour met all our expectations- and it was great! "There were a few: 1. Julia singing in the Abbey in Iona- she has a wonderful voice, and the setting was perfect! 2. The Sheepdog experience- it was fun, educational, and I got to hold a puppy!! 3.The Crannogs- It was a wonderful learning experience! 4. The unexpected stop at the Kelpies! Yay!!!" The people we traveled with were very nice. I really liked our guide, Julia. There was not enough time in some places and too much in others. Our first day of touring, Edinburgh, was miserable. It rained so hard all of our clothing was soaked, even with rain coats on. And it was very cold. Our local guide was excellent, but how were we expected to absorb what she was saying when we felt so miserable? I believe it should have been rescheduled. "Julia singing in Gaelic, in the chapel in Iona, was beautiful and inspiring." Overall experience was great, just the right blend of history, travel and some unique cultural experience but still with some free time available to do your own thing. This was the first Rick Steves tour for my wife and I and we weren't sure what to expect. The most present surprise was the size of the bus used and the extra space everyone had. The knowledge of the guide was excellent and by the end of the tour I had a good overview and understanding of Scotland's history. "The visit to Gellions pub in Inverness. That was a fun night and you got to hear some local music. The trip to Iona was a close second." Enjoyed Liz's encyclopedic memory; she's able to make history come alive! The sheep herding demonstration was terrific and different from others I've seen. I was surprised how much I enjoyed the crannog visit - wow! It is a very fast paced tour with less free time than on other tours but still great fun. Gilly, the bag piper, was enchanting! For the first time ever, I stepped out of my comfort zone and gave an attempt at playing the bagpipes! Sounded like I was squeezing a cat-but so fun! "Driving through the Scottish highlands and seeing their pristine beauty: deep freshwater lochs, breathtaking waterfalls, lofty mountains and rugged cliffs, purple heather patches and bright rosebay willow herbs coloring the landscape, dramatic cloud formations in the skies... Wow! Only matched by the surprise trip to the Aberfeldy Highland Games! What a delight! We were able to rub shoulders with the locals; their excitement and exuberance for the festivities was infectious!" This was a wonderful tour, rating among the best we've taken. With Liz's guidance the places we visited all enchanted and educated us in the history of this charming and whimsical country. Our fellow travelers seemed to enjoy our experiences as much as we did. The setting was personal for us as Scotland was my husband's ancestral home. He had been asked by his Dad's widow to scatter his ashes as we traveled to iconic sites,resulting in a fine video production to share with family. "This is really difficult as each site visited had different, but powerful emotional appeal. The views at the old hotel by the beautiful River Tey, the lovely Cawdor gardens, the community feel of the Highland Games, the fun of seeing the shepard and the collies at work, actually standing at Culloden...each experience resulted in an appreciation of the depth of culture and history we were experiencing." I loved the tour sites, especially those that our guide was able to add for us, e.g., stop at a Highlands Game, pub in Inverness, and stop at a quaint restaurant for lunch. The accommodations were good (I was lucky to get the first floor or one floor down) and centrally located to a lot of sites and restaurants. The Rick Steves' book was especially helpful. Our guide, Liz, was superb -- informative and knowledgeable, accessible, fun and funny, full of helpful information, generous. "I loved the Highland shepherd's (Dean?) demonstration of herding his sheep with his trained dogs the most but there were so many favorites: Edinburgh Castle, Culross, the Crannog, Urquhart Castle, Cawdor Castle, Glencoe's valleys and hills, the ski lift and views at Mt. Ben Nevis, the hairy coos, Culloden battlefield and museum and Stirling Castle." Great balance of active touring and free time. Every detail is attended to maximize time well. Our guide is tireless, energetic, loves her work and it shows everyday. I liked the lectures on the road. Aaron was very good especially for this being his first time. Great expectations made for promptness. After a person was late, we left, and tardiness was cured. The rooms and food were great. "Oban. It reminds me of the Pacific Northwest so it was like going home in a far away land." Liz was excellent, the group was interesting, the sites were great. "Sheep dogs, Edinburgh Castle, Stirling Castle, Culloden, Bonnackburn." The tour is filled with Scottish grandeur & history around every corner. With a home base in Edinburgh it was easy to attend events at the International and Fringe August festivals... definitely a must-do if you enjoy the arts. Then we were off to explore on the comfy coach with a highly entertaining guide Liz whose every other phrase was highly lyrical and enchanting. We wandered the battlefields of Culloden, admired the skills of a single shepherd with his sheep, enjoyed group camraderie. "Staying in seaside Oban & watching the ferries come & go from the Hebrides Isles." The tour was wonderful! Liz, our tour guide was absolutely amazing! We could not have asked for more. So many people have asked how it was possible to see so much on our trip! "The town of Oban, and traveling on the isles. Absolutely wonderful town! There was so much though, it truly is hard to pick." The tour was so well-balanced in terms of personal vs "tour group" time. I especially appreciated the DIVERSITY of activities. All kinds of experiences from historical walks along the Royal Mile to castles, sheepdogs, pub music, whisky tasting, Highland Games, and crannogs to the incredible scenery around Kenmore/Loch Ness and the Glencoe Valley. While we could have used more time in some of the locations/experiences, overall the time was pretty well thought-out. "There was not just one moment due to the great diversity of such interesting sights. I loved the architecture in Edinburgh and in the small villages. I really studied the guide book and re-watched Seasons 1 & 2 of Outlander* so it was great to see in person the beautiful Scottish landscape and 18th-19th century houses and buildings. Liz is a great story-teller and explained Scotland's history in such a memorable way." A wonderful combination of the history and beauty of Scotland. "Seeing a preserved Robert Burns poem written in pencil in his own hand on the plaster flume of the fireplace in Kenmore." Our tour of Scotland was amazing. Liz was such an awesome Tour Guide. We loved all the history she gave us, and how she made each stop come alive. We even like the bus ride. It gave us time to relax and hear more about Scotland. We totally magically feel in love with Scotland. We can't wait to go back. Thanks to Liz for making this trip so special. "There were many "wow" moments...but I have to say spending time in the Highlands and meeting Neil the Shepard and watching him with his dogs was fantastic. Loved it. pretty much the trip was a WOW experience"
This was our first Rick Steves tour. Overall, an outstanding, well-run itinerary. All of our accommodations were excellent and centrally located. All dinner venues provided by the tour were excellent, especially our farewell dinner in Edinburgh the last night. The full size touring bus allowed everyone to spread out and be comfortable while traveling between regions. Our tour guide Martin was extremely knowledgeable on all aspects of Scottish history and culture and was very entertaining. "I can't think of one specific "wow" moment that stood out from all others; however, I did find the whole trip very enjoyable and well-balanced. The Kenmore segment with the Crainog Center was very interesting; I also loved the sheepdog demonstration and traditional Scottish lunch of scotch broth and fully-loaded scones. The natural beauty of Glencoe and Iona was breathtaking; and the view from our room at Glenburnie House overlooking the Oban harbor was lovely." The family lore has always been that we are of Scottish descent. Ancestry.com proved that point valid. I have waited 40 years to take this trip. It was nothing short of the fulfillment of a dream. While there were a couple spots that we missed, the itinerary was complete enough to satisfy me in terms of what I wanted from my first visit. "There were so many! The castles, the other historic landmarks (I'm a history teacher/history geek, so I get excited about almost everything in that category), etc. I think our visit to Glencoe would be way up there on the list. The day started out rainy and foggy, but that only added to the beauty of the place. And the weather broke during our visit, which was magical. Our time at Culloden was also deeply moving." This was our first Rick Steves' tour and I couldn't be happier with the experience. I was a little apprehensive about touring with a group, but we got to see and do things we never would have found on our own and shared the experience with some very nice people. It was a good balance between group activities and independent time. I learned a lot about Scotland - from Edinburgh to the highlands to the west coast. "There were quite a few "wow" moments - the crannog center was fascinating, the sheep dog demonstration a hoot and Iona was awe inspiring. The bagpipe demonstration had some surprises - including a German visitor to the hotel who could also play. But, the pure joy of running around St. Andrews with some other golf enthusiasts and new friends may have been my favorite. Being able to add the Edinburgh Military Tattoo to the visit was a huge bonus." The tour was wonderful and I would recommend it and learn more about Scotland. All the scheduled group dinners were delicious and a wonderful time to get to know your fellow travelers. "There were a number of "wow" moments each day, however, several moments stay in my mind. 1. Culloden Battlefield 2. The working sheep farm with the demonstration of the sheepdogs. 2. Scotland's unique crannogs and tour of a whisky distillery for a "wee dram". 3. The prehistoric burial chambers at Clara Cairns and beautiful gardens at Cawdor Castle. 4. Isle of Iona"
The tour was magical from start to finish. So organized and planned out. Even on bus travel days there were special surprises and a relaxing pace enabling us to see as much as possible. Really enjoyed the commradory of the group. Nigel was extremely knowledgeable and always found ways to immerse us in the culture. Accommodations were beyond expectations as was the food. "Cuddling the puppies and feeding bottles to the lambs ranked at the top. The amazing beauty of Scotland, the history and dancing the night away with fellow tour mates." Nigel was the perfect guide for Scotland. We loved his local knowledge as well as his grasp of Scottish history. We had a nice mix of couples, singles and families. We would have liked to have had a full afternoon free sometime near the middle of the tour. We had some evenings free but could have used a full afternoon to relax and get reenergized. We felt like we were going nonstop for nine days. "For me it was standing on the eighteenth fairway at St. Andrews. For my wife, it was the Robbie Burns poem on the wall and in the Kenmore Hotel." Great tour. Excellent variety of things to see and experience. "Honestly, it was the Military Tattoo which was not part of the tour, just something we did on our own. But I did enjoy all the stops and things we saw and did on this tour." We saw beautiful country under the leadership of a highly knowledgeable, friendly, helpful guide, along with a group of very nice, friendly, funny, delightful people. "Looking out the window of our hotel room in Oban at the bay, with boats crossing and islands in the near distance." For the most part, the accommodations, meals included, site visits included, bus and ferry transportation and tour guide were excellent. We had been on a previous tour with Rick Steves and were concerned that this tour (which we decided to bring our teen and young adult children on as well), would not be as good as the first. Fortunately, that was not the case! We felt that this tour provided us with a very thorough introduction to Scotland and we are anxious to return in the future. "My favorite 'wow' moment was probably watching Neil Ross work with his border collies and sheep. Although I certainly had some awareness of how it took place, I did not realize that each dog had his/her own 'whistle' and that these dogs were capable of understanding so many different commands over such great distances. Of course, shearing the sheep, feeding the lambs and visiting with the puppies-in-training were icing on the cake. Neil is truly an icon of a fast-disappearing way of life!" Our tour of Scotland really was an amazing experience. We traveled from Edinburgh to The Highlands and then across the Isle of Mull to Iona. It truly was the best of Scotland in 10 days. Our guide was charming and knowledgeable. Our bus driver was incredible. It was well-planned and executed without a noticeable hitch. "There were so many it's hard to pick one. Perhaps the quite walk at the Hermitage, seeing a true forest cathedral and incredible waterfalls and experiencing the natural quiet. It was a surprising joy amid many incredible experiences." This was our second Rick Steve's Tour. It was wonderful. Our singing guide, Colin, truly shared his love for his country with us. We heard poetry and learned about Scottish history from Colin and the knowledgeable local guides. Scotland is beautiful. I loved the Hermitage walk, and the trip thru Mull and the island of Iona. Would love to to see more of the Hebrides islands.They were beautiful. I will never forget watching Neil Ross, his border collies, feeding the lambs and the puppies. "There were many. I especially loved Iona and Mull, and will never forget the sheepdog demonstration. I did like the bagpipe demonstration , Gilley was a treat." It was interesting it was the first four I had been on so was not sure what to expect. Did enjoy the tour the info that was given. Would have enjoyed spending more time in the smaller towns. "Just the beauty of Scotland could have stay for ever and enjoy the people small towns. The history"
Excellent itinerary, well executed. Wd were ably led by Colin. He is a great credit to your organization due to his leadership skills, knowledge, rapport and care for all of his tour members. "Tbere are many: walking tours, castle visits, immersion in the history of Scotland, scenic vistas throughout, and tbe connection with the past and present culture. Colin Mairs' poetry recitations and singing were quite special. And then the sheepdogs.... My partner and I stayed an extra day in Edinburgh for Tattoo. That really should be part of the tour." I loved the tour overall. It was done very well. It would have been nicer to have a little more free time in the small towns. My wife and I hope to do another Rick Steves tour. This was a nice tour. The participants were varied and everyone got along. I was probably one of the older members. The activities were interesting and enjoyable. "The boat trip on Loch Ness and the visit to the sheep farm." I had a fantastic time on my Best of Scotland tour led by phenomenal Colin. I appreciated the variety of the tour in terms of hitting all the well known sights, but also having the opportunity to enjoy more personal experiences such as visiting a sheep farm and hearing from an expert bagpiper. The pace was excellent as we stayed in big city, small and medium towns, and even a lodge to keep the adventure fresh and new. "There were so many great experiences that it's hard to pin down a favorite. Traveling through the scenic Glencoe area was truly stunning and a highlight for me, but watching the skill of the border collies on the sheep farm was a true eye opener. I enjoyed both, but they were completely different experiences." This is now our third tour. We have to come to expect that our experience would be incredible and it was. From the moment the tour started, we knew we were in for a non stop, highly informative and entertaining trip. "Probably Dunkel (the lovely restored hunting lodge) along the River Tay. Also, sunset in Oban." I had a great experience with my family on the tour in Scotland. The tour covered a great mix of Scottish history, culture, food, music, geography, politics and current events. We were exposed to a good overview of what makes Scotland special, and it was extremely enlightening and informative for someone like myself who was not very knowledgeable about it previously. "I had a number of favorite wow moments: the bagpipe demonstration (I'm partial to music), the sheepdog demonstration and sheep shearing, the bus ride on Mull to the ferry. Loved the mussel shack at the ferry terminal in Oban! Very much enjoyed the Clava Cairns and the picnic!" This tour covered a lot of ground but I would have liked an even longer tour that took in northern Scotland (the Orkneys). I also liked staying in each hotel two nights. It takes some of the rush out of a trip and lets you enjoy each place a little more. It was an interesting group of people, as usual with Rick Steves Tours, which adds to the experience. The guide, Anne, was fantastic for organization, information and imbuing a real sense of what Scotland is about. "I loved the sheep dog trials, the owners comments, and all the puppies. The visit to Culloden battlefield was information and very touching." Tremendous experience on our first Rick Steves tour. We usually plan our own trips and make our own arrangements, so this was a novelty. The stops were all great, and provided a diversity of experiences, and good mixture of on and "off the beaten path" moments. The mixture of organized and free time felt just right, giving us opportunities to do our own exploring. I felt that we were exposed to a number of experiences that I do not think we would have easily discovered on our own. "Where to start... The scenery in Scotland is amazing, particularly the Highlands, Glencoe, and the islands of Mull and Iona. It was like traveling back in time. We traveled with our 11 and 14 year old sons, by far the youngest travelers in our group. They are pretty mature and deal well with adults. They had a great time as well. I think they would say meeting the shepherd and sheepdogs. They were in love with the puppies and amazed by the way they could herd the sheep (as were we all)." The "Best of Scotland" was probably the best tour that we have taken. The group that we were touring with was exceptional with all members being able to get along and show timeliness as well as curiosity in the sites we visited. "My personal favorite was our visit to the sheep farm and the crannogs." Enjoyed the tour very much. Ann was a great guide, especially liked her caring nature for the tour participants, her wealth of knowledge imparted, and her music sharing during the bus rides. "Impossible to come up with just one. I love castles, so Edinburg, Stirling, Urquhart were great. Isle of Iona was interesting, wanted to spend the night there. Inverness was wonderful, needed more time exploring there." This was our 4th Rick Steves' tour and we really enjoyed it. I think it was a perfect blend of all that makes a tour great; the sights, the people, the food and beverages, the hotels, the free time, the language, the music, our bus driver, and of course, our guide, Anne Doig, who really made the tour for us!! "In the three other tours we have been on, I couldn't pick out one wow moment and this one isn't any different. I enjoyed the Royal Mile, the architecture, and learning about the crannogs. I loved seeing the men in kilts and the castle ruins and no, you can never see too many! I loved the spirituality and sense of community on the Isle of Iona. I appreciated learning about the history. As always I thoroughly loved the group dinners; the tasty food, beverages, conversations, and laughter." Joyous, interesting, marvelous immersion in Scotland's historic and current culture. Invigorating views, superb guide. Could not have asked for more. Exceeded all expectations. "Glencoe mountains, awe inspiring. Urquart castle, magical highlands." Our trip was fabulous! Every day was full of a different adventure. Our wonderful guide Robert explained the historical background of each castle and king. There was wonderful food each evening and an excellent group of new friends to share adventures with. We have visited Scotland on our own but having our guides to narrate our journey made this wonderful, wild country come alive. "I loved the visit to the gorgeous Dunkeld House Hotel was by far my favorite place we stayed. The setting is so lovely and I would to think of hiking and fishing there! The crannogs were fascinating and I am truly grateful not to live in one! Our visit to the Highlands sheep farm was perfect. The dogs are fascinating and I am proud to add bottle feeding a baby and shearing a youngster to my resume! My favorite Highlands by far, however, are the hairy coos! The Isle of Iona was perfect!" The tour was so well organized and the timing of all the activities was well planned. The hotels were lovely and were well situated for all the activities. It was great to have room on the bus to stretch out. Plenty of window seats! Our guide, Robert, was very knowledgeable and filled us in on lots of Scottish history and interesting facts about each place we visited. Our traveling companions were A+ and the meals we shared were excellent! "I loved all the scenery through the bus windows! So many WOW moments! A special highlight was the visit to the shepherd and watching all the sheep dogs herd the sheep. Not on the tour but highly recommended is the Royal Military Tatoo in August. We stayed an extra few days after the tour and were able to experience this wonderful event. Don't miss it if you have the chance!" Great trip, meeting many interesting people. The individual guides were excellent and Robert was very knowledgeable as we travel around Scotland. "Watching the shepherd working with his dog's herding the sheep." Rick Steves guides and tours do not disappoint. All 10 days were packed full of beautiful sites, history, exhilarating experiences (the chairlift at Glencoe), good food, and wonderful new acquaintances. At each stop, the people demonstrating life at Crannogs, the castle tours, the bus drivers, the additional tour guides selected by Rick Steves gave and our own guide, Robert, were superb, passionate, and funny.. It was clear they care about what they do. "Stirling Castle. It was Day 9 of our 10-day tour, and we were getting tired. I knew little of Stirling Castle, but it was a wonderful way to end the tour. Rich in history, amazing views, and amazing tour guides, the Castle was a wonderful surprise. The fortress has been restored to represent life as it was during its heyday." Our tour could not have been planned and executed any better. Our guide, Robert, shared so much of the history and culture of Scotland that we would not have gotten had we traveled on our own. He made sure all of us were fully engaged and enjoying the trip to the fullest. The travelers all perfectly meshed with each other and were so nice to meet and spend time with. "This is impossible. Every bend in the roadways brought another "wow" view. Scotland is a beautiful country, and each stop had its own special, but not "best" appeal." We were not treated as "tourists". Robert brought a level of sophistication to the group. In plain English, he gave us an understanding of the complex Brexit issues, as well as Scotland's consideration for independence. His ability improvise the schedule due to weather-rain, was incredible. We had Drambuie atop a ski lift. We are always amazed at the skill of the bus drivers maneuvering through busy streets, parking lots, and dirt roads. To say nothing of their humorous personalities. "The sheep dogs and the shepherd's dedication to his profession was an display of Scottish culture. The dogs were cute and trained beyond belief. The dogs, when almost out of sight, responded to commands and brought sheep into a circle next to us. Explanation of training dogs not follow cars was amazing." I enjoyed the tour very much. I was not sure what to expect but it was better than I had imagined. The number of members on the tour was small enough to make it enjoyable and not overwhelming. Every Hotel we stayed in was comfortable, clean and inviting with excellent staff. The food every where we ate was very good. The buddy system was a quick and easy way to keep us all on track. "Our trip to Edinburgh Castle was near the beginning and the tour guide Rita Adam made the walk very interesting with lots of added side stories. Also the Bonham Hotel was a lovely start and end to the tour, it was wonderful, comfortable with good food. Daniel at the Cranog and Neil Dross with his sheep dogs were also amazing." Best trip ever, I feel spoiled now? I can't imagine doing another tour with anyone else but Rick Steve's. From the ease of everything being coordinated to the actual group. Really spectacular people and the size of the group made all the difference. "Surprisingly it the Sheep dog excursion, I thought this world be my least favorite but I was wrong. Neil's expertise and skill and willingness to be honest about life as a Shepard was truly inspirational. And 5 week old puppies didn't hurt either !" Please note: There are no triple rooms available on this tour. Most tour members arrange to fly in and out of Edinburgh Airport. We suggest arriving a day or two before your tour begins to allow ample time to get over jet lag and be well-rested for the first few days of your tour. For more information about transportation options for getting to and from your tour, see your Rick Steves Scotland guidebook.